I tend to give full credit for all work. So, if you have less than full points it means you either missed part of the prompt (easy to tell if you have 1/2 the points) or it’s really short and does not have enough depth (something like a 7/10 or 8/10). Look at the examples on our website (under Example Student Work page) to get a sense of expectations. Or look around at others on our G+ and notice that people write some long and gloriously thorough posts (thank you!). A couple of points will not hurt your overall grade and I would expect to see your posts get better and better, so no worries. If you received a 15/20 on your Make, you simply missed the process part (telling us why you approached the make the way you did, your process, any issues, etc.). You can add that now if you want and I’ll update your grade. Just let me know when it’s added (email me). I have two examples of the process below from Krystina and Madison (thank you!) if you want some good examples of this part. I really can’t take late work. Every time my classes blog or write posts I have 98 assignments to read…so 98 on Wednesdays and 98 on Sundays…close to 200 posts per week. I love love love reading these, so that’s not the issue, but keeping track of late ones or updates is just no fun. You’ll need to get things in on time. thank you! Okay, that’s enough of the grade details for now. You are writing beautiful responses to the ideas in class so far. I am so grateful for the clearly hard work you put into your posts and your first makes! 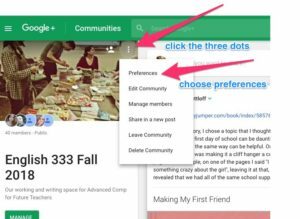 Finally, one pro-tip: if you are getting a ton of G+ notifications, you can change the notification settings by clicking on the dots, then Preferences, then Community Notifications. THANKS FOR CLICKING ON THE EMAIL LINK! We ended up with 26/34 people, so much better than our original 13! I chose to write a poem about my middle name. I chose a poem since poems are usually my preference for expressing myself in writing. I prefer rhyming with light work, such as a poem about my name. If I’m writing something much deeper, I tend to not rhyme. It really depends on the tone of my poem, and how effective I feel rhyming will or will not be. Our names tend to define who we are, since there usually is meaning behind them. My middle name come from part of my dad’s name. Considering how close I am with my dad, I almost felt it was fitting to write about my middle name. My last name is important too, but I’m getting ready to get married, and my first and middle name are the two parts of my name that will not legally change in 4 months. For this week’s make, I decided to create a poem that incorporates the theme of names from our readings. Inspired by the theme of “name”, I opted to share some of my life and how my name has defined it (or how my life has defined my name!). Repetition is a great literary tool that, when used correctly, can teach the reader something new and leave more of an impact by emphasizing the author’s purpose. By repeating the same words and formatting from stanza to stanza, I hoped to create some rhythm. This rhythm and word selection should hopefully inspire the reader to understand the importance I place on spelling my name correctly as that was my goal with this poem. Hello nice people of English 333! Your makes are looking so so good! Thank you to so many of you who are trying out the Storyjumper site and some of you are writing such adorable poems; bravo. 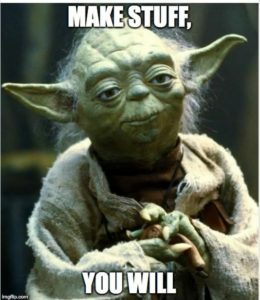 Friendly reminder that the makes are due tonight and remember to talk about the process when you share your make (who you decided to approach the assignment the way you did, what worked, what was challenging). Finally, make sure you are responding to at least one of your peers when you post. Thank you! Make Cycle 2 is now up on the site; you can always find this under the Make Cycles tab. And link here. We’ll be looking more closely at storytelling and starting to read in our About the Authors book, which I think you’ll like a lot. The authors have so many amazing examples from kids. You have posts due Wednesday & Sunday, which will typically be the routine throughout the semester. IMPORTANT: PLEASE READ—> I assigned people to the “Featured Curators” assignment for the semester. Please look for your name listed by a make cycle under the Featured Curators assignment. I am about to send an email to Marc, Krystina, Megan, Krystle, and Rebecca next hoping that you’ll be willing to go first! I’ll send further instructions in that email. Everyone should look over the assignment and watch for an email for me during your make cycle with more information. You can find lots of examples from last semester on our course website. Like this one. I’ll give more feedback tomorrow and Tuesday and plan to send your first grade update by Tuesday afternoon. I send grade updates to your Wildcat email and I’ll send everyone a head’s up that grades are sent so you can check your email. Really grateful for the thinking you are doing already and the conversations you’re having with your peers. This information was also sent to your email: please let me know that you’re reading the email updates by CLICKING HERE. THANK YOU! Assessments, assessments, assessments, we hear so much about assessments! Before reading chapter 7 in Ray and Cleveland’s About the Authors: Writing Workshop with Our Youngest Writers, all I thought of when I thought about assessments were tests, more specifically state tests. After reading this chapter I think of so much more. My biggest take away from this chapter was the purpose of assessments. There are three main purposes shared throughout this chapter including: to direct our teaching, to help us work with parents who may not be familiar with the king of writing instruction their children are experiencing, and to help maintain a celebratory attitude about our teaching. Looking at assessments for these reasons was mind-blowing to me; it makes perfect sense that these should be the focus of doing assessments in our classrooms, not to give grades, or to see how our students measure up on the state tests against other students. With focusing on these three goals for assessments the other things will naturally fall into place. The next take away I got from this chapter was the way they did their assessments. There was no mention of writing tests, spelling tests, or grammar tests. There are three ways to assess students writing through a variety of observations. The first type discussed is to look at a piece of finished writing. Based on what you know about the student and what has been taught you can gauge what the students knows about writing and if they are using the different writing techniques that you would expect them to be using. The next form of assessment discussed, referred to as, “catching them in the act” is my favorite form of assessment. This really consists of being in the classroom as the kids work and paying attention to what they are working on, how they are working on it, and why. This is where you see things that you have taught clicking and happening. This is my favorite part of being in a classroom with the kids. The third form of assessment that this chapter touches on is looking at a child’s work throughout the course of a period of time. This is an important assessment because you can see the growth and development that has happened in the students writing. Throughout this make-cycle we focused on creating a writing assignment using a mentor text of our choice for a partner to assess and complete for us. Although I had a difficult time getting started with this make-cycle it ended up being my favorite one from this semester. I enjoyed seeing what my partner came up with using my prompts along with getting her feedback on how she felt the delivery of my assignment went for her. Thanks Sandra Nyland, you did a great job! This make-cycle was also one of my favorites because I really had a good time looking at what all of my class-mates came up with. One of my favorite makes from this cycle was done by Lisa Valdez and Chad Lafenhagen. Lisa used the mentor text, Tadpole’s Promise by Jeanne Willis, and asked Chad to create a story of two unlikely characters with a surprise ending as shown in the mentor text. She was clear about the instructions and gave a clear expectation of what she was looking for out of the assignment. He did a great job with his feedback and created an amazing book using storyjumper, which Lisa is actually planning to buy and use with this assignment in her future classroom. How cool is that! The next make that really caught my eye during this make cycle was by Hannah Hughes. Originally it caught my eye because she gave a choice of focusing on the text or illustration to be the focus of the assignment for the student. I love this idea because it enforces the idea that books and writing is about more than just words and gives students who maybe thing they are not the best writers or maybe do not enjoy it as much as others an opportunity to approach writing in a way that hey may find more enjoyable. They may even find that by creating illustrations first it helps guide their writing. Hannah was partnered with Ruben Mendoza who did an awesome job creating an assignment to match what Hannah was looking for. He hit all the points that Hannah had asked for and made it personal and relative to life by incorporating his Instagram which I thought was brilliant! Another writing assignment that I found interesting this week was created by Chelsea Paterson. I was first intrigued by her assignment because it taught me a new word, onomatopoeia, but then as I continued to watch her presentation could see this being used as a mini-lesson as described in our mentor text by Katie Wood Ray and Lisa B. Cleveland. Chelsea did a great job of outlining what to look for when reading the mentor text offered and gave guidelines for the assignment she wanted created. I thought the post reading discussion was great to include and could see this being very beneficial in the classroom when doing this lesson. Chelsea’s partner Rebecca Spears did a great job of creating a fun book using the guidelines within the assignment. I can see this assignment being used in a kinder or 1st grade classroom and it being a huge success. All of this week’s makes were fun to assess. I was exposed to several authors that I was unfamiliar with and got to enjoy many books that I had never heard of before as well (one of my favorite parts about this class, is sharing these new books with my daughters). Everyone did a great job and I can see anyone of these being used in a classroom. It is great to see that everyone was supportive of one another and receptive to the feedback given by their partners. All of these assignments could be done in so many ways it will be fun to see what my future students come up with using some of these prompts and mentor texts down the road. 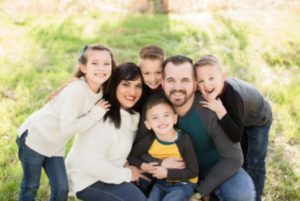 Author Bio: Janette Herrera is the mother of four children, ranging in age from 5 years old to 18 years old. 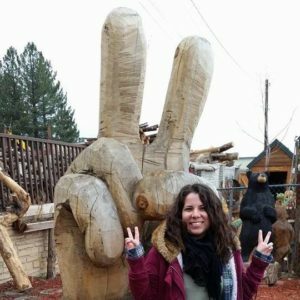 She is currently a Director at a ski resort but has always dreamed of being an educator. A few years ago, she did not like some of the things she saw happening in her sons’ school system and with the support of her loving husband decided to start school with a goal of becoming educated in order make a change. She is currently a senior at CSU Chico. The next steps for her will be to enter a credential program as well as obtain a master’s degree. 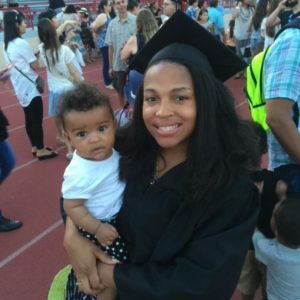 Janette plans to teach for several years before moving on to an administration role to try to make those needed changes that motivated her to follow her dream of pursuing a career in education. The readings for this week were very interesting and many classmates made insightful posts about them. During this Make Cycle we learned about assessment and this may have very well been one of the most important chapters in the book. Chapter 7 made sure we, as future educators, gained knowledge and learned different ways we could help our students out. While I was reading this chapter I realized that there is a lot of observing that is involved. There is so much more than just to read something and move on. We have to assess the students’ writing abilities by checking their spelling, illustrations, the kinds of writing they use, and many other aspects as well. Sometimes we just need to take a step back and learn from our students. Jillian Pearson mentioned, “I honestly want to try out and borrow all the advice given and use it on my future students. I want to take the time and closely observe their writings, watch and listen to them throughout the process, ask them to articulate what exactly they’re doing, and look over each students’ work over time.” I really enjoyed how excited and motivated she was to try all of the ideas given with her future students. I relate to her because I feel just as excited to learn and grow from the readings and use these tips and tricks in the future. Rebecca Barragan pointed out, “As teachers we need to understand that not everyone is going to understand or get something right away sometimes it takes other students more time to process the information. We need to be patient and realize that if we seeing a child slowly improving then we are doing something right.” Patience is definitely key when it comes to our students succeeding. There were many good observations throughout our discussion! The second part of our Make Cycle had to do with looking at common core standards. I have never been familiarized with these, so it was all pretty new to me. Looking at the standards and incorporating them into parts of Chapter 7 was interesting as well. Jennifer Barajas-Goodwin had a good example of how to incorporate her common core standard in the classroom, “Have your students use their animal, with their list of things they know about the animals and construct what they think a day in the life of that animal would entail.” This gets the students thinking and writing informational texts, but having fun with the assignment. In the end, we had to create our “makes.” That meant we had to create our own writing activity for a partner and then they had to actually do the writing activity then reflect on the make. Although Sean was my partner for this I am choosing his as an example because I really enjoyed it and had fun with it. Sean made a really neat presentation for his activity and everything was well instructed. If you would like to check it out, here is the link. Sean had me think about a few things before actually going through with the activity. I liked that he did that because it was almost as if he was intending to get me thinking right off the bat. A way to start getting ideas of what I could do for my writing activity. He also used an example which was very helpful and could be helpful for his future students as well. Another make that sparked my interest was Karen Fawns. She started off with a few discussion questions as well, but her activity included writing a narrative with illustrations. Her partner could either write this in paragraph form or as a short story. I thought it was a really fun idea to include illustrations. Often times students get bored of just constantly writing, so letting them express their work in illustrations is always a great idea. Here is her activity. Lastly, Josue Java had a captivating make as well. I liked the fact that he was intending to use this activity to get his students prepared for standardized testing. His fourth grade students were to write a narrative and explain what they would do if they were president. This gets their minds going and coming up with several ideas to use in their writing. Children have great little minds, so it would be a great experience to learn about everything they would do as president. Overall, I enjoyed this make cycle. Learning about assessing our students and knowing when to take some time to step back and just observe is something I hope to use in the future. One thing I found extremely interesting was learning about common core standards. There are several standards and each grade level differentiates between standards. My favorite part was the make itself. Creating our own writing activity and looking over everyone else’s activities was so much fun. I won’t lie, it was kind of difficult to get started and think about a writing activity for my partner. I do wish I could have come up with something better, but for a first time, I feel confident about it and definitely learned from this experience. 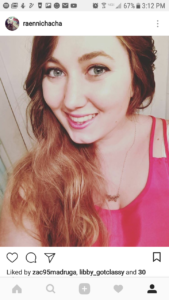 Author Bio: I graduated from Yuba College in 2016 and pursued my dream to attend ASU. Moved back from Arizona and now attending Chico State and majoring in Liberal Studies. I would love to teach first grade or the elementary grade level in general. I also hope/plan to get my Master’s at ASU after completing my Bachelor’s here at Chico. I am excited to be completing my first semester here at Chico and hope to catch many Giants games this summer! This make cycle 6 has definitely been interesting these past two weeks. As a class, we put on our teaching helmets and we practiced creating writing assignments for our peers. It has been interesting since most of us are so used to being comfortable in the student perspective, so it was a little bit more difficult to step into the shoes of the teacher. 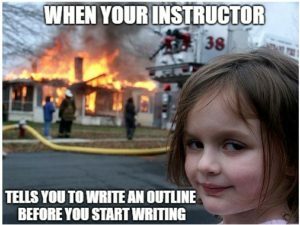 However, as you can tell from the work of my classmates, we are no joke when it comes to creating our writing assignments, so I believe that we have nothing to worry about when it comes to teaching and creating writing assignments. There are so many lessons that we learned from this make cycle, and some of them include: we need to be able to be ready to come up with good writing assignments/plans for our students, we need to be open to diverse learners in our classroom, and we need to make sure that our students see the positive attributes of writing. Overall, this make cycle and rather this class has improved my knowledge completely on the topics of creating effective writing assignments and in general, teaching students. Author Bio: I am currently studying at Chico State and hope to be a teacher. Some of my interests include: sports, cleaning (lol), eating, spending time with my family, going to the snow, and working out. I am very curious about astronomy. I love star gazing and thinking about what is out there in the mysterious sky. Also, I am very curious about the past. I love finding out what happen many years ago or even just what happened in the fifties. 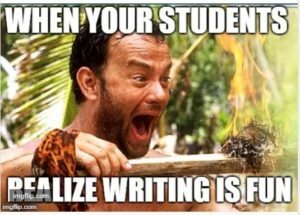 As we are nearing our the last month of the Spring 2018 semester, I realized how this course has helped me overcome my fear of teaching writing. I wasn’t sure of myself at first because I am not the best writer, but I quickly learned how to subside my fear and to not be afraid to write. Learning to write, and write well, is a crucial life skill. Not only does it help one succeed in school, its vital to success in the “real” world too. I also believe that writing helps student achieve more in education. I think chapter 7 was a fun chapter to learn. By the end of the chapter, I now believe that teaching should be assessed by observing the success of the learners. This means seeing how much students participate in projects and how much above and beyond the scope of assignments do students go in order to learn on their own. This is where the educator can ignite the students passion for the subject. This was an “aha” moment for me as a future teacher. Chapter seven reminded us to look and see how much students participate. The authors recommend assessment techniques versus standardize tests: looking closely at individual pieces of writing, watching and listening as children are engaged in the process, asking children to be articulate, and looking across the work of a single child over time. “In addition to this, catching children in the act of trying things on their own is our only true way of knowing whether they are getting it – the it being all the writing curriculum we are offering up as possibilities in our teaching” (120). I love the idea of using activities during learning as a form of quality check. The teacher uses the activities and processes in class to make a determination on a students growth and progress. I prefer to use About The Authors assessment techniques versus a standard test which would be given after the lesson to judge a students progress and then assign a grade. Honestly, I never knew teachers could do this. Last week we were partnered up with a classmate and had to create a writing assignment for our partner based on a book our choice. The assignment had to reflect on one or more of the Common Core Standards. I am not going to lie, I was nervous. I believe we are our own worst critiques because we worry too much about what other people will think about us and our work. Overall I think the class did an amazing job with the project. The majority of the class enjoyed the assignment and had fun with it. Some of us had different results than they expected but I believe overall this was good practice. At the end of Make 6, the readings, creating the activity based on a children’s book, doing the partners activity and reflecting on it, I realized that having the students doing the work is more effective than having them listening. 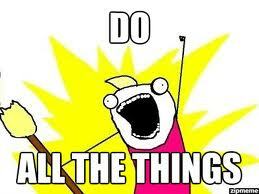 But not doing rote things or busy work. Actual doing. Let them know what they are doing and why it matters. How does it effect their learning and their goals to do this thing you have. Writing can be difficult for some because it is not as active as Math or Science, but we use writing as a tool to organize our thoughts. My classmates Kellie Cabico and Julie Lafreniere definitely had the most fun with this assignment and were the team that interacted the most. Kellie designed her assignment from How This Book Was Made by Marc Barnett and gave Julie very good directions and explanations of the book and the purpose of her assignment. Julie on the other hand did not give Kellie as much instructions and she was worried that she did not give enough direction on the assignment. However in the end, both of them were able to get creative and deliver. I chose them because while one person decided to go above and beyond on her lesson plan, the other person did not give as good directions as the other. No it wasn’t perfect, but it worked! Julie made an awesome video where she shared her wisdom and explained how important it is to reassess our lessons plans. Author Bio: My name is Veronica Oregel. I am the first generation in my family to go to college and I am the oldest of three. I have been married for three years and have a one year old German Sheppard. I knew I wanted to be teacher when I was nine years old and used to teach my little brother how to read. 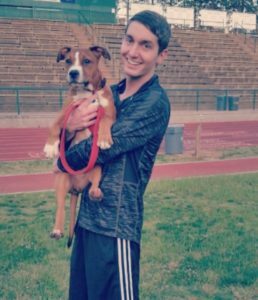 On my free time I enjoy hiking, running with the dog, or getting pedicures. “to assess the writing work of young children, we’ve got to be right out there in the messy, real, wonderful middle of all their work” (119). They discuss that there is no checklist that should be used because each child is different and touches upon different techniques. I do think this is where I would need to walk around with a clipboard that has reminders of techniques to look, and blank paper to jot down specific notes. Notes could be things to talk about in the one on one conferences, like mechanics, notes to remind me fabulous things for share time, and new techniques that I see students trying out. There are four main forms of assessment: looking closely at individual pieces of writing, watching and listening to children working on pieces, asking children to be articulate, and looking at the history of a students writing. When assessing it is a great reminder to remember what is developmentally appropriate for the student, what growth have you seen from the student, and what techniques have they used that you have reviewed or not. When having little conferences it is always good to start them off with a question of what they are doing and why they are doing it. This can help them to articulate what it is that they are trying and give you some insight into what they are thinking. It is going to remind students of little inconsistencies that you have noticed from them so they can correct it. It is also good to show praise for the great things you have seen the students try or touched upon. It is good when assessing while walking around and seeing the process first hand because it helps you understand some techniques you need to remind them of our work on. The history of a student’s writing is key to understand the growth of that child and all of the strategies or techniques that they have worked on. When assessing it is key to try and keep track of all the little notes taken on the students. This will help to show to the parents, other teachers, and for report card purposes the evidence of what they have learned and the individual student’s growth base and knowledge. This will also help you as a teacher know what you need to teach in depth more or what you nailed because of the evidence is shown in their work. “Assessment can make the teaching that happens during share time each day much richer as well” (137). I would hope to plan out a Writing Workshop right before a recess so I can let the kids out and then get down all of my assessment thoughts down on paper before switching to a new subject. We also read Appendix G that talks about creating peer conferences with the students to help benefit each other is and should be seen as a positive thing. This could be one of the mini-lessons within a unit to help the students understand it. Show the students examples of what this might look like and then ask what they learned from it. This will create for a chatty writing workshop, but those are where the ideas begin and never end. 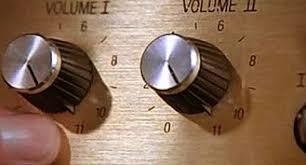 We were asked to pick a grade level from the list of Common Core Standards and review that grades standards. As I went through looking at all of our Common Core Standards I seemed to notice a theme so I did the math and here’s the facts. Out of 30 students who did the C.C.S. activity 20 students picked reviewing first or second grade standards, while only 6 students picked fourth thru sixth grade. For our Make Cycle 6 we were put into pairs and asked to create a writing activity based on specific grade level of our choice and how it targets the Common Core Standards for that grade level. We were provided a list of mentor texts to base our writing activity on, so there would be no problem finding one. Rayn Buford’s 3rd grade writing activity for her partner Salina is a creative concept that involves creating an invention and persuading everyone to buy it. Lisa Valdez’s writing activity for 2nd graders is to choose two different characters (living or non-living) and use the natural course of their “life” to make a story in which they meet and make friends with each other. Her partner Chad Lafenhagen created a surprising and California relevant book. Shelby Baccala has a very creative writing assignment that I did not expect: you are to think of your least favorite fairy tale and then write a different ending that adds elements to the story that you like. Her partner Samone Burge had a great spin on the Sleeping Beauty fairy tale that any mother can relate to. Author Bio: Hello all, my name is Karen Fawns and I am a Senior at Chico State. I took about a decade off from college, created a family of four, and now I am back to the grind. I am a concurrent major in Multiple Subject and Education Specialist Level 1. I have been working at a local high school as a Special Education Paraprofessional for twelve years and an Elementary After School Program for fifteen. I am excited to be back in college and cannot wait to work with students in a little different capacity than now. I feel this Make went well and really let the creators express how they believe standards should be taught. In this make we needed to create an activity tied to a book that will fulfill the core standards for elementary. In previous makes we were required to flex our creative idea muscles and follow the standards laid out by the teacher, examples being writing stories or creating poems. This make was different because we were not just creating a make, someone else had to actually do the activity that was created. This intensified the necessity to write clearly and have a well thought out process. Her assignment was coupled with a book about a pigeon wanting a puppy. The book was enjoyable and had a fun twist because it was read by a child. The standard 1.1 that is referenced is meant for a first grade class and in my experience they tend to need a lot of direction when given writing assignments. The book is great for the grade level and the activity has a strong basis. In this make the directions are very clear and several standards are used and learned in the process of this piece. The format is creative and easy to follow. The book is fun and age appropriate for the third grade classroom. The goal of the assignment is to create a persuasive writing piece and the book chosen is about a child trying to get a new pet. Ryan underlines the main ideas in the topic and what is expected of the students. The most important takeaway from this week was learning what the standards are and seeing what creative ways you could teach them. The creators got to take their assignments for a test run and allow other students to attempt the activity. The majority of people received positive feedback, but some found constructive criticism and let themselves grow from it. Salina says in her reflection: “If I were to change something I would take Rayn’s advice on narrowing down the subject being that this project would be done early on in the year and a sense of direction might be more comforting for a younger group.” Even though her activity was not perfect she allowed herself to learn from what she had done. That is the purpose of this make, to learn from what we do and receive feedback from our fellow teachers in training. We are in this class to expand our knowledge of teaching and to better understand the common mistakes that can be made and how to avoid them. We now have to think about why we are assigning writing projects and what do we really want students to learn. We also need to think about what are different ways to get students to learn each standard, and how to modify lessons to fit each individual students learning abilities and styles. 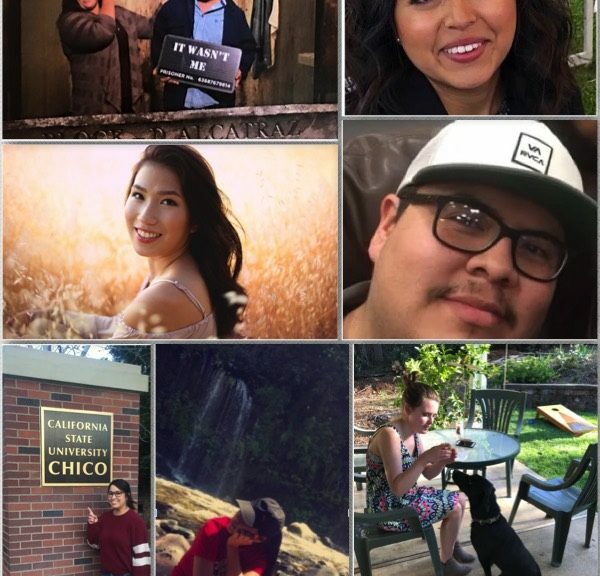 Author Bio: I am currently enrolled in the online bachelor program at CSU Chico because I wanted to get my Bachelor degree while still working with children. My mother is a preschool teacher so I have been around children my whole life and this is what sparked my passion to teach. I want to inspire students to love learning by using new and creative teaching techniques that they can connect to. Make 6 had several great projects, and in my opinion, one of the makes that most reflected our experience as teachers since we came up with a large picture idea for a lesson plan including all the necessary details. This make exposed us to researching our state standards for our preferred grade level, which will be important to become accustomed to doing and this make also held us accountable towards our partner for peer reviewing/opinions just as our students will and even our colleagues! Erin Russo’s make about The Red Book touched me because I work in special education and see how sometimes a book with illustrations is just as powerful for many students! I really appreciated that Erin highlighted ways for writers to emerge in communication without words so this activity appeals in many inclusive ways. Additionally, I loved that this activity encourages the creative aspect students have, by promoting illustrations. I liked the options of adding words to retell or making a parallel concept story. Rayn Buford’s Make was amazing! I have a small bias because I truly enjoyed Karen Kaufman Orloff’s book I Wanna Iguana 😊 the idea of writing various avenues for that book plus having students make their own arguments to convince an audience to “buy” the idea was really fun! This Make embodied grasping the mentor text, great writing prompts as well as creative activity for our future students! Author Bio: I graduate this spring as part of Liberal Studies (online) program, have worked in both special and general education for several years and hope to continue to do so! Looking forward to hikes with my rescue doggie, leisure reading and cooking this summer. This week was packed with so much information, yet most of it was extremely valuable for us, as future teachers. In Chapter 6 of About the Authors, many of us expressed how overwhelming the concept of lesson planning seems, as we haven’t had much experience with it. I appreciated the idea of breaking down the lessons into “mini-lessons” where we fine-tune student’s work in depth. One idea for successful lesson planning was shared by Adriana Cea, who described the method used by a teacher she knew who did not mind lesson planning as much as the other teachers. The reason for her lack of stress? 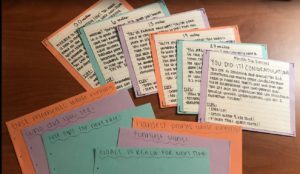 She stayed organized, and stored her most successful lesson plans each year in a filing cabinet where they were easily accessed for modification to fit new standards. This is a great tip for future teachers to keep in mind, right from the start. I also think that notes kept on how to improve the not so successful plans would help avoid similar pitfalls, especially since they could be made while the “lessons learned” for the teachers were still fresh in their minds. Taking a model from this chapter, working on improving our lesson planning in “mini-lessons” throughout the year could help teachers with the overall process planning as well. In Chapter 6, I noticed that many of us, myself included, were impressed by the way Forrest was able to change his skepticism about his ability to write poetry into a new passion – a way for him, as a “lover of facts and information” to share his amazing observations and vivid descriptions of the birds it was obvious that he had spent some time watching in nature. What a change from his NBA poem the year before! This perfectly illustrated one of the major points of this chapter – that students incorporate and build upon the units of study for long afterwards. 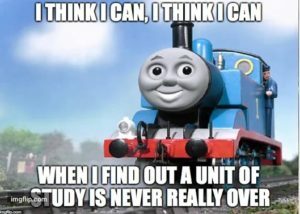 Brianna Carlucci’s meme perfectly captured this point from the chapter, specifically, a unit of study is never really over; we need to push through with projects sometimes, even when we think we aren’t capable of them. Her meme also captured Forrest’s reluctance to write poetry, even though he apparently learned to enjoy it, and turned out to be very good at it. From Appendix F, I liked the concept of helping students to find ways to illustrate and capture something — an image, a feeling — from their writing, and let the reader feel that through their work. I really like the idea of small-group study of illustration techniques in the mentor texts, as others often view things differently than we do, and can point out things we might have missed. Many of us were inspired by the idea of reading a picture book without showing students the illustrations, and many different approaches took root from this suggestion. Veronica Oregel’s idea to “apply this in a mini lesson to get children to understand the meaning of words. We can show them how crucial specific words can change a meaning of a story” was somewhat different than the one that came to mind for me, but is just so true. I could see her approach prompting discussions about different results and how the illustrations might change along with the words. Rayn Buford had another good point: “I would want my activities throughout the week to be revolved around how there can be a story happening in pictures that isn’t necessarily happening in the words.” This is another great way to study a picture book that had not occurred to me – studying the pictures to “guess” the story without the words. I thoroughly enjoyed reading Jane Gilrain’s article, “From Home to Hip-Hop: Teaching Writing Through Painting, Performance, and Poetry.” I especially love how the progress of the children, and the effect of the artwork and expression on their work was illustrated through side-by-side comparisons, allowing us to see for ourselves the impact the teaching method has had on the children. They were free to express themselves, including making their monsters female in order to empower girls, if they chose, or to let hidden feelings out. 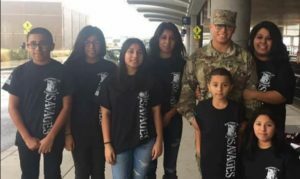 Especially touching to me were the stories of Miguel, separated from and longing for his father in Puerto Rico, and the little girl from the Emotional Support Unit whose father had died a year prior and who had never spoken about it, even to her mother. Her poem “Journey” and the results of her pre-and post-program evaluations speak volumes. She has found a safe and therapeutic outlet in which to express her pent-up grief. Kelly Cabico perfectly describes my feelings in reading this article: “This article hit me right in my ooey gooey heart. Seriously, I was teary eyed from about the halfway point through to the very end. I love that these children were learning about writing in a unique and dynamic way, but I loved most that they were connecting with their work in a way that was therapeutic; that it gave them characters to identify with and helped them outwardly process things they hadn’t been able to prior. That’s some powerful stuff!” Very powerful stuff, indeed. I was also especially impressed with the “Allegory of the Troubled Kingdom,” as the children’s reactions to the visiting artist reminded me of the reactions of the students to writing workshop in Lisa’s classroom in our professional book. When they are encouraged to get out of their plastic seats and move around the classroom, their learning truly begins, and like the students in this article, they also begin writing. 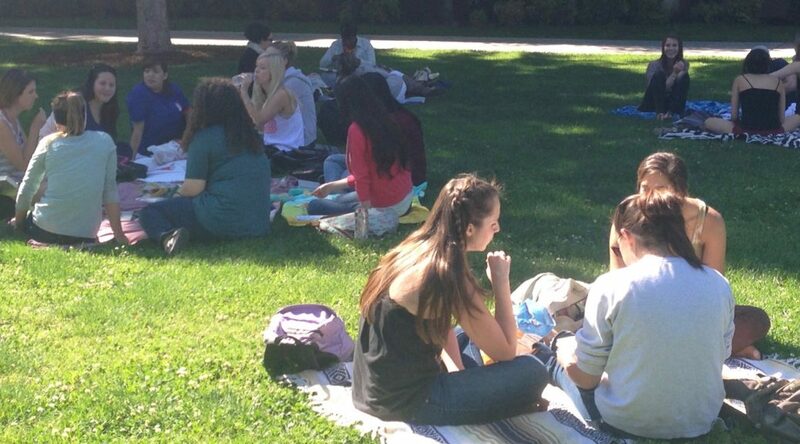 Sean Gamer had a very good take on why we should get these kids out of their desks: “A teacher can have outdoor classes for part of the day and let students do painting and reading outside. The significance behind the way I think this way is that every time a student walks by the spot they painted a picture of a flower or some outdoor project they will remember why they were outside instead of being cooped up in the classroom.” Along these lines as well, Caitlin M’s Yoda Meme made me laugh, as I found myself reading it in his voice! It also accurately captured the feeling of what happens in writing workshop, as well as when using multi-modal methods as described in Gilrain’s article. Some of the makes this week revisited mentor texts or projects that we had done before, and I loved Christina Barbaccia’s Storyjumper book, “The Bronson Collection.” In this amazing little book, she has captured not only sweet images of her gorgeous furbaby that capture just how much he is loved, but I can also see the inspiration from some of our other makes in there, especially the pages in which Bronson is advertising his “Yellow Lab Security Co.” and the comparison between his thoughts on dinnertime, and the human perspective, which reflect Make 4’s compelling arguments. I can also see the influence from Make Cycle 2 in the recipe for “Bronson Blondies.” Great job! This week had so many new skills to practice, and stretched my tech brain, but I really enjoyed learning to make memes, and I was inspired to start a personal webpage for my make, something that I have long planned on doing but never got around to doing. While the page I have managed to create so far is far from what I have envisioned, it can only improve as my sorely-lacking web publishing skills improve. It is a start, and for that I am grateful! 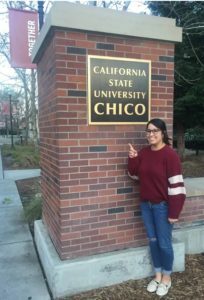 Author Bio: My name is Lisa Valdez, and I am a junior at CSU Chico, having transferred from Santa Rosa Junior College with an AA Transfer degree in History. I am an RN, but am no longer able to work due to an injury, and now have the opportunity to work toward the teaching career that I discovered I loved doing while developing school health programs through the hospital’s wellness center. I am pursuing a double major in Liberal Arts and Social Sciences and plan on obtaining a teaching credential with the goal of being able to teach in whichever school needs me in my small rural area. 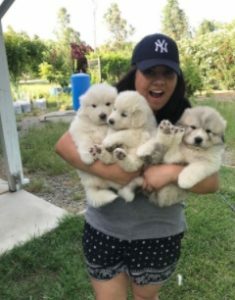 I live with my husband Joe in McArthur, California, and have a farm where we raise Scottish Highland Cattle, dairy goats, pigs, and poultry, who are guarded by our very large Spanish Mastiffs. I do volunteer work for local veteran’s organizations, as well as working with several animal rescue groups, as well as cat rescue and livestock rescue during the local wildfires. My hobbies include knitting and yarn-crafts, dying fabric and yarn, and making homemade cheese and preserves from our farm products. 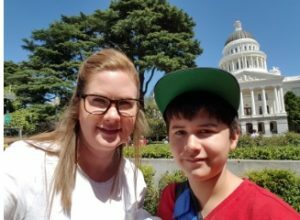 I am a grandmother of four, three boys and a girl, ages 4 months to 9 years, and enjoy spending time with them and taking trips to Tahoe and Disneyland with them as often as I can. They are remarkably tech-savvy and we face-time frequently. We also send snapchat videos to each other — the babies really love the cute filters on snapchat! 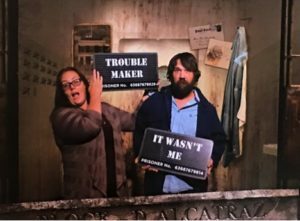 The profile picture above is my husband and I on my 50th birthday, cutting up for the camera and having fun at the Dungeons of San Francisco, such a fun outing! Welcome to Make Cycle 5. 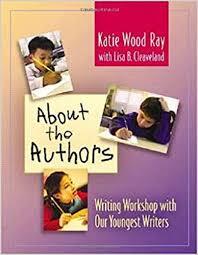 On week one of this make cycle, the class read Chapter Six from About the Authors by Katie Wood Ray and Lisa Cleaveland. We had to write our take from the chapter. My take in Chapter Six was that behind the mini lessons there are big concepts, which are units of study. Those concepts are based on the process and product studies of writing a story. The process studies are the way the author creates the book such as revision and editing. While product studies are the traits found in the book such as the genre of the book. In the unit study, the teacher is able to go into detail to explain the concepts. There are various ways to determine the concepts to teach kids about writing. For example, the teacher can use the state and local curriculum. They can focus on the basic punctuation, capitalization, spelling and complete sentences. It can be part of the process studies. Also, teachers can envision the kind of writer they want their student to become in the future. The second part of the assignment was to create memes based on ideas from the textbook. We used imgflip site to create the memes. Memes are a widely used in today’s society. It is a modern style to use writing. The class did an amazing job coming up with unique and funny memes. On week two of this cycle, the class read the article “From Homer to Hip-Hop: Teaching Writing through Painting, Performance, and Poetry”; we had to write our take on the article as well. My take on the article, by Jane Gilrain, used multimodal composing to tell her class’s writing experience with art. She begins with a letter that lets reader know what to expect of the article. She explains that she would be giving examples of her student’s work with art, poetry, and drama. Then she writes a poem for the reader to join her in the journey she experienced with her students through art. Gilrain mentions that she obtains the idea of the letter format from Billy Collins and the poem from Robert Frost. Afterwards, Gilrain created a fairy tale story about the situation that made the project possible to occur in her classroom. When I finished reading the three multimodal approaches of Gilrain, I thought about the information I learned in About the Authors. Gilrain is reading like a writer. She found writing mentors to create her article. She uses different writing formats to intrigue readers. After Gilrain introduces the topic in three different ways, she moves on by giving examples of her student’s work. For example, there is photography of Miguel acting as the son of Odysseus. He is performing the vocabulary word yearn. Overall the class did well in conveying their thoughts about the article and having discussions with classmates. Students uplift each other through our chats. On Sunday, students posted their creations. We used multimodal texts for our projects and showed the skills we’ve learned in class. There were many awesome creations. 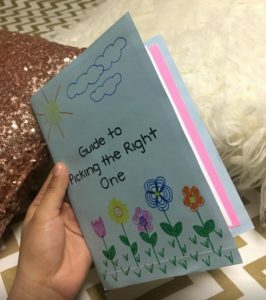 Let’s start with the first book “Guide to Picking the Right One” by Grace Pablos. The book was about selecting the right family member for certain activities. She would ask a question about a certain situation that only one of her family members could help her. Under the question, she had a picture of the family member that was perfect for that job. On the following page, she gave the name of the person and reason they were right for that job and she had a list of their qualities. I could tell that she took a lot of time creating her book. She wrote the book pages with black pen. While for the title, she used markers. The title page is colorful with different colors of flowers with a yellow sun and blue clouds. Also, she used sky blue and pink construction paper and envelopes for the pages. Grace did a great job incorporating multimodal composing in her book. The second book is “Marathon Motivation Book” by Emily Sall. The book inspires pace runners to run a marathon. In the book there are six note cards with stages of running a marathon: the stages are start, mile 6, mile 13, mile 19, mile 23, and mile 26.2. When the runner completes the mile listed in the book, they read the note card to encourage them to keep running. Also, the notecard includes tips to remember during the race. At the end of the book, it includes pages with topics that the runner can write about their experiences. The pages of the book are note cards and they are glued to purple, blue, or orange construction paper. The reader can take out the note cards from the book because they are inside envelopes. The notes cards writing and title are written on with a black pen. It is a neat way to read a book with note cards. Lastly, I found interesting the book “Having A Little Sister” by Cyrill Somera. In her book, she describes some flaws of having a younger sister. At the end of the day those problems don’t matter: she will forever have a friend. She uses moving memes that go along with the topic she is writing about in her book. The title page has a green stripe going through her name and it seems she used the same font for all the pages. Author Bio: My name is Maritza Caceres. I am the sixth out eight children. When I had graduated from high school, I didn’t know what I wanted to major in school. My family encouraged me to continue my education. Therefore, I attended a community college. While I was attending community college, I got a job as a tutor. After I graduated college, I knew I wanted to become a teacher. Now I am attending CSUChico and my goal is to become a teacher. Make Cycle 5 has certainly been a very interesting one and a hard one in my opinion. Over the past 2 weeks we have focused on trying to understand multimodal texts because we have to start getting ready as future teachers. We have to be able to know how to do them and in what type of environment we can use them. I think that it is a great tool to use in the classroom especially for students who are visual learners. The first discussion was about chapter 6 and appendix F; the best part about this assignment was creating my own meme about study units. This chapter really made me think and appreciate the work teachers must put in for their students. I think that the smaller the grade level the more time it takes to learn something new, which means more mini lessons to be planned! Yay. One thing that really caught my attention was when the author wrote: “If they are not organized over time under an umbrella of a bigger topic of interest to people who write, the our whole-class teaching can have a very hit and miss- feel to it.” This, without question, is something every teacher must have in mind because we can teach, but will the students learn? Will they remember it later? We need to teach with a purpose, which is getting our students excited over learning new material that they’ll remember late on in life. By Tuesday April 3, we read an article from Language Arts called “ From Homer to Hip-Hop: Teaching Writing Through Painting, Performance and poetry.” This article was all about multimodal composing; it used different types and explained them although some were confusing. It didn’t focus on one thing at a time. I had to read it a couple of times to understand what was going on especially in the beginning. I think that the part that got to me the most was about the little girl and how much she missed her father. It was as if I could feel her pain through her words. This was and will be a hard moment in her life but art did save her. She found a way to express her emotions without speaking a word of it. She expressed it with art. This is what art is all about, seeing and believing what nobody else does. Being creative and expressing what we feel in another way. I also really liked Emily Sall’s make (see above) because you could tell she had fun making it and it was a form of inspiration towards others. I feel like this make was more based of the article we read because the text in this case the book which made her feel better, it motivated her. My favorite thing about this make is that she actually created it by herself and showed us the creativity and passion she possess. What caught my attention in Madison Honegger’s make was the fact that it was based of the mentor texts “always a bridesmaid” and “ The Story of Every Mom’s Typical Day.” What I really liked about it was that it could relate to anyone living in a dorm. It is the funny things in life that you remember the most. The best meme was when the fire alarm went off because it is hilarious that this situation could happen just because someone forgot to add water to their noodles. Author Bio: I am 20 years old and it is my second year at Chico State. I was born in Jalisco, Mexico but moved to California when I was 7. I currently live in Corning, CA with my family. I have 3 brothers and am the only girl. I want to become a 2nd grade teacher. When reflecting on Make Cycle 5, the creation of those memes to go along with our textbook reading assignments were daunting to me. I am not going to lie, the thought of a meme puzzled me to no end! However, when I thought about what a meme can tell as a way of expression, it made the process a bit easier. By the conclusion of the assignment, I ended up loving the meme I made! I think memes are something I want to even incorporate in my future classroom. I thought the overall theme of my meme ended up making much more sense than I thought I would have the ability to make. I am also pleased with my meme because it expresses an idea from About the Authors that has really stuck with me throughout this course. In About the Authors, Wood Ray and Cleaveland discuss how students learn by “making stuff” (Ray and Cleaveland, 6). I couldn’t express how much I agree with Ray and Cleaveland! I teach by the philosophy that students learn by creating and getting their hands dirty. So, the ideas in About the Authors resonates with me. Throughout this course, About the Authors has inspired and challenged me about teaching. I love that it is about writing workshops and related topics, but many of the lessons and tips can be applied to teaching in general. I am so pleased that I bought this book (I usually rent textbooks) because I want to keep it as a reference guide and as inspiration for my entire teaching career. For this Cycle, the idea on page 108, where Ray and Cleaveland write, “We find the guidance to make this decision each year in a number of different places: Our vision for how we want students to be as writers at the end of the year….” I think this is an extremely important idea and an inspirational quote. I think it is logical, smart, and brilliant to think about where you want your students to be at the end of the year when lesson planning. I often think, ‘Is this lesson fulfilling a development need for my students and is it preparing them for x, y, and z in Kindergarten?” However, when getting lost in preparing a whole unit, I think the idea of asking oneself if it is setting up the students to be good writers, artists, mathematicians, and so on is important. I think it is important, also, to make sure they are prepared for the next grade level. However, I think what is also lost often is reminding oneself about how the lesson(s) is/are preparing the student for their general future. In connection with the readings for About the Authors, I enjoyed the exercise of thinking about lesson plans. I was intrigued to read more about different types of lessons from Cleaveland and Ray: When I read about units of study, I instantly thought of my preschoolers and one of their favorite books If You Give a Mouse a Cookie by Laura Numeroff. I have read this book to them a handful of times and one day we did an extension project that stemmed from the book. We took a poll to see who liked chocolate chip cookies, who liked sugar cookies, and who liked peanut butter cookies. Lastly, we counted up our categories and formed totals. The kids and I entitled it, “If You Give a Preschooler a Cookie.” After reading chapter six of About the Authors, I realized that I could take this small step that I took with If You Give a Mouse a Cookie and extend that into a unit. I feel that Numeroff’s story really focuses on the action of the story moving forward and pacing the story in a fast-pace sequencing sort of manner. I feel that the book really carries the reader through a beginning, middle, and an end that comes full circle. In younger grades, the idea of a story having a beginning, middle, and end is essential to beginning reading and writing. So, I think this would be a good focus for a writing unit for students with applying this as a mentor text. On page 105, Ray and Cleaveland, write that “an overview of the process of writing” is a “process studies”and I think it fits well with the pace and focus of Numeroff’s book. The “process of writing” could include making sure the students’ stories have beginnings, middles, and endings. Perhaps students could pick their own animals to star with a human character in their own stories. The students could employ Numeroff’s book as inspiration for a beginning, middle, and end to their stories as well as pacing and playing with sequencing like coming full circle. By extending out this idea into a full week, I think it would be fun and impactful to read stories of a similar style. Luckily for us educators and for kids everywhere, Numeroff has written several different stories in the style of If You Give a Mouse a Cookie. For example, the mini lesson on parts of a story could include studying If You Give a Mouse a Cookie, If You Give a Mouse a Muffin, If You Give a Dog a Donut, If You Give a Pig a Pancake, and so on. There are a series of wonderful books that perfectly, in my opinion, show the flow and parts of a story clearly for younger readers. I think these books would be fantastic mentor texts for students to write their own stories focusing on and playing with sequencing and having a beginning, middle, and end in the story. I also think these books could work well for a “product studies” focus on “how to make illustrations work with text.” These stories all have fun illustrations that marry well with the stories they are paired with. I feel that the more I learn about these topics, the better I do at my current job and the more I will be prepared for my future job as a primary school teacher. In addition, I can better understand how students learn. In terms of the Makes for this Cycle, I want to start off by talking about Cori Hale’s wedding website. I think that this is a wonderful way to do this assignment because she is including both words and photos, which makes it multimodal. In addition, she also chose an assignment that lets the reader learn more about her on a personal level. 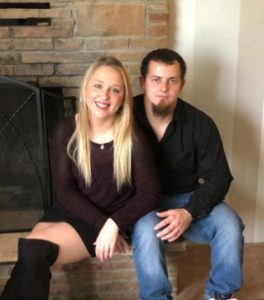 By getting to see Cori’s website, I felt like I got to know her a bit more. Lastly, I felt that Cori’s work was well written and clear, which, when it comes to teaching, are always essential to effective lessons and classroom time. Next, I want to discuss Rayn Buford’s Make for Cycle 5. I thought her memes presented ideas in such an informative way, but with such humor! I love when individuals take learning and make it humorous. I feel by making it humorous, one is much more likely to take it in and reflect on it because they are enjoying it. I think Rayn’s memes do just this! In addition, I love how Rayn included some personal reflection on how she viewed writing as a child and how she can teach differently than how she was taught as a child. For example, I particularly liked her discussion on how “….it is OK to focus on the depth our students are embracing instead of deadlines or the chapters that still remain….” I couldn’t agree more with Rayn and I think this is such a wonderful way to approach writing and education! Lastly, I want to speak about Samone Burge’s write-up and meme. I was interested in Samone’s Make because she related it directly to the About the Author reading from Cycle 5. Since I found the ideas about lessons interesting in this Cycle, I was drawn to Samone’s work. I think Samone’s work perfectly represents the ideas presented in Cleaveland and Ray’s discussion on lessons and how to incorporate, as Samone puts it, “reading the writing of others.” I think her meme perfectly reflects the concepts written by both herself and Cleaveland and Ray. In addition, her meme, like Rayn’s memes, employ humor to be engaging and to drive the point home. I also think that Samone’s write-up that is paired with her meme is clearly written and concise. I think both attributes, as a teacher, are important to have. In addition, like Rayn, humor is always a good asset to have the classroom as well. Author Bio: Hello to all! 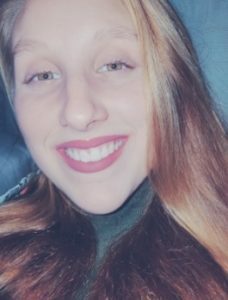 I want to start my biography off with some information about me: My name is Caitlin and I live in Anderson, California. I am currently a preschool teacher. I live for those moments where I see a concept click with a student or they talk through a process or question. I adore seeing their wheels turn and watching them grow in their academics and as little people! When I am not teaching preschoolers, I love spending time with my loved ones. My Monday night softball watching with my fiance, Kody, and our black lab, Beau, is the highlight of my week. I enjoy reading, writing, being outdoors, photography, watching baseball, traveling, cooking, and baking. 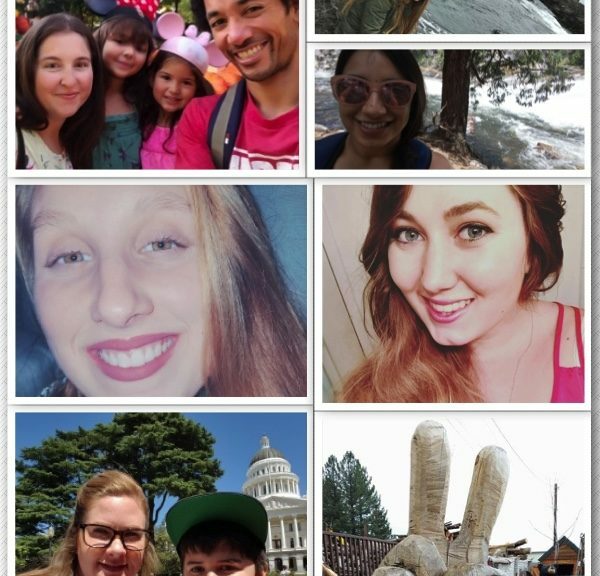 I am also a student at Chico State University and am working towards my degree in Elementary Education. I had a lot of fun working on projects during the 5th Make Cycle. It’s not everyday you get to turn in a meme as part of an assignment. The multimodal composing was definitely something new. It was so much information all at once. I have to admit I was a bit lost when I began reading the article from Language Arts: I don’t know if I was expecting something other than what I was reading. After a short break I can back and read the article again and it made sense sort-of. I could tell apart all the sections, but I felt it was all thrown together; it felt like chaos on paper so to speak. Apart from the way it was organized, the content was awesome. I feel like this may be a little too much for me to do my first year, but maybe the third year I’ll be ready for a multimodal form of teaching. The way it was organized was the most challenging thing for me because I like structure and organization and this article was far from it. I don’t think I would want to teach this way. I promise I will give it a chance –it may be the best thing I ever do– but for now, I’m going to stick to what I know. I for sure don’t think I will be able to use this type of system for students in special education (SPED). I feel it may be a little too hard for them, but I would sure love to make a poster or flyer similar to this article in which I can show parents/guardian the student’s progress. This multimodal approach taught me a new method, one in which it could help students think outside the box. Now to the nitty gritty of this cycle. The best part: making my personal calling card. My own website. I was so excited I emailed my sister and told her about it. She was confused at first but then I explained why I had made it. She told me everything that needed to be fixed. Making a website is something I thought I would never do. It was challenging since I thought to myself that this is something I will be using to communicate with parents and students in the future so why not start now. As time goes, I will improve it and add better features so everyone can check it out. I will send you (Dr. Jaxon) a link to my website a few years from now so you can critique me and maybe give me a few pointers on what I can do to make my website user friendly and cool over all. The first one is by Rebecca Lee; I thought her design was so beautiful. The website was well made and it had everything a teacher in training should have. The second one I chose was by Salina Rodriguez; her website was really cool. I like how simple it was but at the same time sophisticated. Well planned and designed. And last, I really liked Jamie Xayachack’s website too. She was really clever and it was funny and the layout I thought was really cool. Here is a screenshot and link to mine. 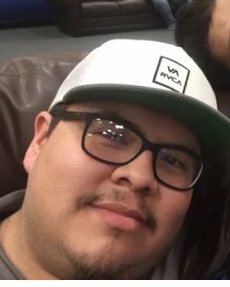 Author Bio: Josue is from Hamilton City, a small town 10 miles west of Chico. Before attending Chico State, he was at Butte College as a mechanical engineering transfer. While living with a family whose young boy wasn’t speaking yet, he went out of my way to work with him much like he had with his own son. A few weeks later the young boy spoke for the first time. Josue had discovered how much he loves working with kids. The makes that I gravitated towards most were the teacher portfolios of Jillian Pearson, Janette Herrera, and Sarah Roberts because I also chose to make one for this cycle. 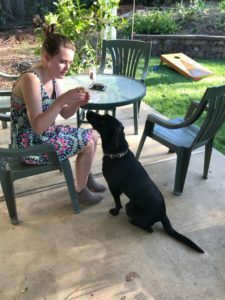 Sarah’s Make was enjoyable to look through as she had multiple blog posts that explain the reasons why she’s pursuing the career that she’s chosen. The layout that she chose for this multimodal make was simple and easy to navigate around.Jillian’s portfolio was filled with a variety of pages which were very interesting to scroll through. I like how she suggested a few websites that both students and educators could utilize. Janette’s portfolio also has a simple layout: her whole blog about Creating Writers was most compelling to read as her views of creating writers are like mine. This whole paragraph resonates with me because I’m experimenting with this approach with my students this semester in having them be the curators of their own stories and handmade books. It’s so important for us future educators to assist students into thinking of themselves as writers because they are imaginative and fantasize about situations through made-up stories. That’s already a huge part of story-writing and the only part we really need to help them with is figuring out how to spell words and structure sentences. Ultimately, Cycle 5’s article from Language Arts (see link in Lisa’s post above) made me realize how explorative one can be through teaching. It is possible to refrain from traditional and stiff structure in the classroom and Jane Gilrain made that point clear in the allegory, which was presented at the beginning of the article. Gilrain made me realize that it is quite difficult to break away from norms because society tends to adhere to what works or what has worked in the past and most fear change because it is usually accompanied by an onslaught of intuitive and complex ideas to be dealt with. Art is what shapes the world around us. Everything from the design of a car to ceramic mug has been through a creative process engineered by team of people. This article brought light to how students can learn through collaborative work with others so that they can articulate what they would like to say through various multimodal approaches. Through a multimodal approach to teaching, students can utilize their seemingly never-ending free-flow of energy by projecting it towards projects that require movement and drama. I would love to explore this approach through some theatrical work with the students that I have currently. They are all very invested in creating interesting and unique art projects with me and it would be such an awesome experience to have them hone into their skills in the arts by having them do some theater activities with a theater artist. Karen Kaufman Orloff expertly conveyed her point of views to her young audience by incorporating didactic, yet simple messages as well as other elements through her books I Wanna Iguana and I Wanna New Room. It’s apparent that Orloff chose to write in first person to let the audience have a better understanding of the personalities within the main character as well as other characters in the book. These books are informative, but the dialogues between characters are persuasive as the main character, Alex, attempts to persuade his parents through letters stating how grown up he is or how great his grades are in school. When children read these books, they are given ideas of persuasion to reciprocate their style of writing from when writing letters to whomever they may concern. These texts aim to convey two major points for children to begin understanding, which are compromising and problem-solving. Both stories lead to happy endings and children can see that through the arguments and information being relayed between Alex and his parents. The instances of bias constantly occur as viewpoints of a young boy and older perspectives (Alex’s parents) write letters to each other as they stay strong in their position of arguments. Both books are vivid and illustrative with humorous drawing and scenes that easily captivate young eyes. The element of putting the texts in graphic paper was an excellent idea as it gives children an example of what a letter should look like and what a letter should contain. From a more mature perspective, the issues presented in the books may come off as trivial, however, children between the three to eight are dealing with these issues and these issues are so important for educators, parents, or guardians to acknowledge and guide children so that they can develop from them. Utilizing this book would help us in educating children of the importance in confronting personal conflicts and to understand the value in gaining new perspectives of things in life. This make cycle was interesting to do and it was even more fun to look through other classmates work to see the variety of interpretations of this assignment. With that being said, this assignment also brought light into the fact that students all learn and interpret things differently. There must be a variety of ways for students to approach an assignment to create something to the best of their potential. I really liked how everyone used different sources to create what they made. Having a variety of choices also broadened everyone’s perspective on approaching the assignment. Author Bio: Jamie Xayachack is a third-year Liberal Studies student at CSU Chico. She is currently working in the Enterprise Elementary School District as an ACE Aide, as well as a Classroom Aide. Having the opportunity to be surrounded by students and other educators at work all day has made her excitement and motivation to become an elementary school teacher grow more with each coming day. 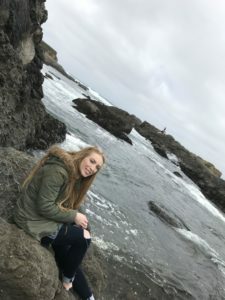 Jamie’s overseas volunteer experience as a McConnell SAILS Scholar in classrooms in Asia is what made her choose teaching as a career path she would like to venture on. A few hobbies of hers include hiking and playing Super Smash Bros with friends. 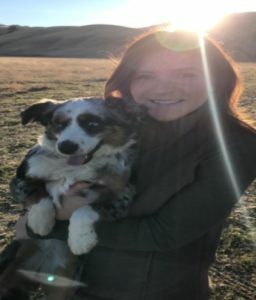 Erin Russo made a website for herself that I found exceptional. 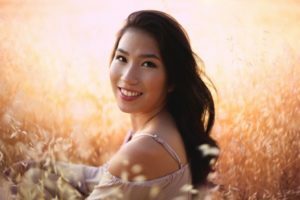 She found not only different fonts and colors to write about herself in, but she also found pictures that made the reader of her website be able to picture her as a soon to be teacher. There was just the right amount of color and font without making the website too busy or childish. While it is difficult to present yourself on paper, Erin made it seem flawless with her straight to the point examples of her road to being an educator. Adding on a video by Carol Dweck to help back her teaching philosophy I found creative and powerful for her overall website. Taylor Roberts Make 5 I found to be done exceptionally well because she challenged herself. Taylor challenged herself to create a lesson plan and fulfill it herself. I found this to be extra special because it is not even something I am yet to challenge myself with, yet what better way to practice? She took pictures of her actual work that included information about the sun and the moon along with drawings. I thought this was a really great way to practice mini lessons with students. This allows students to first be able to learn about the subject and then be able to present what was learned in the way they find most comfortable. I like she started with basic topics because as teachers we can learn to grow as the topics and age of the student grows; however this was a really great way to practice a lesson plan along with mini lessons and have a physical example that can even be used in her future classroom. Shelby Baccala’s Make 5 was the most impressive Make I could find. The reason I found hers so impressive was because I felt that her website could be up and looking for hiring districts right now and she would certainly beat me out at any job. Her way of presenting not just herself and her philosophies, but her way of presenting her experience with pictures to support her past made her website outstanding. Shelby used different colors, fonts, and pictures to keep whomever is reading about her interested and wanting to read on. This website I see being done so well that she could use it tomorrow to apply for a job. Great job Shelby! Make Cycle 6 (Now With Partners): Our next make cycle is up on our course website–Make Cycle 6: Creating Writing Assignments. This is a three week make cycle since you will be creating your own writing assignments/activities and trying them out together. I have placed you with a partner: you will write an assignment for your partner to try, she/he will try it by writing the assignment and giving you feedback and visa versa. Your partners can be found on the Make Cycle 6 page and below. It will be crucial to complete work on time in this cycle so that you don’t hold up your partner; I have no doubt you’ll be respectful to each other. I also have a couple of examples for this make on the page as well. Featured Curators for Make 5 (Maritza, Yorleidi, Caitlin, Josue, Salina, Lisa, and Jamie): your blogs are due to me by Tuesday, April 10 in a shared Google Doc. I’ll send a follow up email tomorrow after the makes come in tonight and you can also see the previous email I sent with information. You’ll also send me a bio and a photo for the blog. Thank you in advance! Hello everyone! I truly hope you all had a lovely spring break! Now that we have sprung forward with the time change, and in this class, we are that much closer to becoming teachers in our own classroom! Being part of this google community and sharing with all of you the last couple months has been extremely inspiring! Each new discussion and make cycle has added a new layer to our writing repertoire that will help us as we learn how to teach our students how to write. We started the week off by discussing the 4th and 5th chapters of our book, About the Authors: Writing Workshop With Our Youngest Writers. Then we looked at some great mentor texts to help develop our idea of what compelling argumentative writing looks like. And finally, we created our own persuasive works to share with the community. Chapter 4 really begins to take an overall look into the steps it takes for students to write books. One of the big ideas expressed in this chapter is that writing must be an enjoyable process that helps students find their own writing strengths as they learn to create. Students need to feel they are already adequate with their skills they arrive with so they can learn to build off of where they are at. I really appreciate the book allowing us as future teachers to see this viewpoint because often students who feel they can’t meet the expectations of being a “good” writer won’t even try. Dana C touched on this matter in her response and said, “A six-year-old’s writing differentiates from an experienced writer. We cannot expect so much from them at such a young age when they are still learning and growing. We must be there to support them. This was a lot of help when I began to think about myself as a future teacher. I want to teach first grade, so I know now that I have to start slow and let my students show me what they can do when it comes to their writing then slowly bring in tips and tricks in order for them to gain knowledge upon their writing.” I love how she acknowledges and summarizes in her own words how she now has a better understanding of how to teach her future students to write because of this chapter. When children have an identity about their work, they feel like they can take on and expand their own ideas, as well as others. A technique I know many of us found really neat in chapter 5 was the fishbowl strategy. Lisa Valdez points out that “The ‘fishbowl’ conferences are also a great way to have the children learn what to expect in their own conferences, as well as minimize any anxiety they may feel. It also can help them to see what is expected of them, so that they can make their own adjustments prior to their own conferences. It reinforces the idea that the conferences are not punitive, but constructive.” We all know peers are one of the biggest influences children have in their lives. That reaches to all areas including school work. Of course, I think that making sure that as teachers we make the effort to process these “conferences” with our students will make a huge difference to how effective the fishbowl strategy will actually be. After learning a bit about the writing process, we took a look at some mentor texts to help inspire us with our makes. A text I really enjoyed was I Wanna Iguana, by Karen Kaufman Orloff. This is a story about Alex who wants to adopt his friend’s iguana. I found it interesting how the book is told from both his and his Mom’s perspectives as they write notes to each other. Alex doesn’t just whine and beg to get the iguana, but carefully constructs persuasive arguments why he and this iguana belong together. Veronica Oregel shares her thoughts on this mentor text saying: “The authors expressed their opinions through the characters in their stories and did it very well. For example, Alex was not faced by his parents telling him no he could not have something. Instead he got creative and found different ways of asking until a compromise was met between parents and child.” I think this is great way to help students understand why creating such thoughtful argumentative writings within the context of their own life can be useful. All of the mentor text assignments we have done thus far have been really easy to imagine how they might translate into assignments I can use with my future students. However, the use of these argumentative texts seems like such a fun way to get creative and help students learn how to develop and organize their own ideas about what they want in life. Click, Clack, Moo: Cows that Type by Doreen Cronin was a very funny and cute picture book that uses the argumentative writing style to tell the story. It was really neat to be able to see it from the side of the cows and I loved how the animals were coming up with their arguments of what they needed in order for the farmer to comply. Brittany Walker touches on the personification used in this text. She says, “The author gave human characteristics to the animals. Obviously, cows can’t talk or type on a type writer, however the author really made the reader see the side of the cows and their wants and needs. For instance, the cows told the farmer that the barn was very cold at night and they wanted some blankets. I also liked how the animals were coming up with their arguments of what they needed in order for the farmer to get what he wants. This would be a great writing assignment for students to take to role of someone or something else. They could write an argumentative piece in character that has wants or needs that they need to convey to someone else.” One of my favorite things to read about in our discussions is when others comment on ideas of how they might implement some of these strategies into their own classrooms. I am always taking note of these amazing ideas you all have shared! My favorite part of the weekly cycles are the makes of course! There are always so many makes that surprise and inspire me! These personalized projects really allow us the opportunity to practice what we want our students to do, which is to create works that are meaningful, compelling, and well thought out. For the assignment this week, we had many options to choose from: an advice column, a series of posters, a flyer, an advertisement, a book etc. Many of these projects were compelling because of the message they were conveying, while others were interesting because of their visual appeal. Another make that caught my eye right away was Grace Pablo’s posters on homelessness. The images combined with message on the posters were extremely moving. I loved how she was able to have such a strong message with so few words. Grace was able to touch on the stereotypes these people face regularly: “When thinking of homelessness many automatically think of people who end up on the streets because of drug or alcohol abuse. 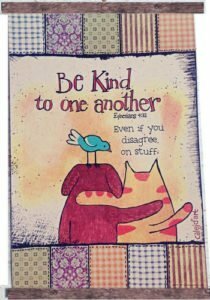 It is easy to judge and criticize them based on what they look like.” Immediately a thought that comes to my mind, is that one day, we may have a child in our classroom who is homeless, or have family who are homeless. Our attitude in the classroom towards others will create the atmosphere they thrive, (or don’t thrive) in. 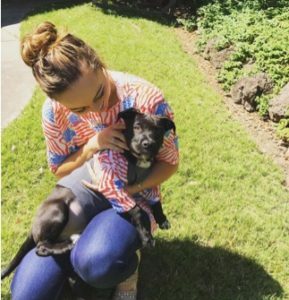 Lexi Mitchell commented on Grace’s make saying “..it’s so easy to pass judgement on anyone, but especially the homeless. 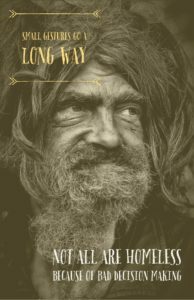 I really like how your make gave them a voice.” The notion that our writing can be a way to give someone a voice, who otherwise might not have one, whether it be a cow on a farm, or a judged homeless man, is a powerful thing. A really fun make to read this cycle was the story jumper book “Happy, Healthy, Super Teeth” written by Beatriz Salazar. She used a style of writing to make a topic that is actually important and serious feel accessible to students. She used really adorable images along with great information to express the importance of taking care of your teeth. Just like our mentor text Click Clack Moo: Cows That Type, Beatriz did a great job using personification to tell her story. The different teeth all take turns explaining who they are and why they are important to take care of! It was very cute. The last make I want to touch on that I connected with was Alma Rose Lopez’ Autism Awareness flyer. This is a subject I am extremely passionate about myself. I work in the field of early intervention for children under the age of 3 who are having social and communication delays and are possibly at risk for Autism. I also have a child of my own who is 4 and has special needs. As awareness is spreading, in both the school setting and in society in general, there are a lot of misconceptions about what it means to have Autism. On her flyer she puts “Awareness is a step closer to breaking stereotypes that get drawn to everyone but mostly get drawn to those that are considered “disabled” on not being able to make a living or contribute to society.” Alma did a wonderful job of highlighting important information about people with Autism, as well as including in large print when World Autism Awareness Day. This gives us a way to act on what we have read, or even just learn more about it. I love how she says this about her make, “I also included pictures to get a visual perspective on the don’ts and the overall meaning of Autism in people. Honestly, I think I was influenced by all the mentor’s texts on trying to prove a point. I guess I kind of combined all the mentor’s meanings and created a new type towards my work.” We want our students to be able to use ideas from many different resources and use what works for them and I think Alma did a great job showing us how that can be done. Honestly, there were a lot of powerful and amazing makes that I did not mention. 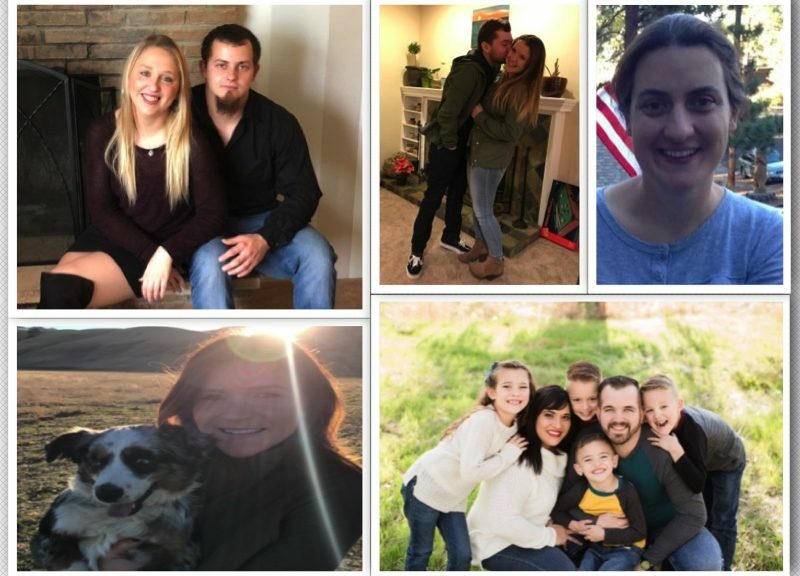 I know with Spring Break it may have been easy for us to put reading through them all on the back burner, but you will not regret taking the time to read not only the ones mentioned on the blog, but everyone’s! We had Professor Kittle’s class join us for this make, so we have even more inspiration and knowledge to add into our teaching buckets than usual! I know mine is overflowing with ideas right now! Author Bio: My name is Hannah, I am 30 years old. I am from the Bay area but have lived in the Chico and surrounding area for the last 12 years. I am a very busy lady! 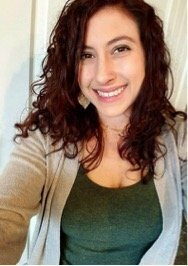 I work full time, am a mom to four-year-old with special needs, a wife to a disabled vet, and I am finally in my last year of college! I love to hike and just take random (day) road trips as a little family. I also like reading, cooking, or watching Netflix, as well as watching/listening to podcasts and Ted talks. I have worked in the community for the past 10 years directing local after school programs, but about two years ago I switched from after school life to early intervention, where I found my love of working with special needs kiddos. That inspired me to get back in school to finally reach my goal of being a teacher. I can’t wait! I am so happy to have a chance to write about make cycle four because it has so far been my most favorite. I love anything that’s trying to persuade me just because it feels like a test. We started out these last couple weeks with Chapter 4 and 5 from About the Authors. Both of these chapters honestly made me a little nervous about becoming teacher just because how truly difficult it can be to really teach children the essence of preplanning and brainstorming before creating a story or even a simple homework sheet. In Chapter 4, there was an example that hit home 100% with me: a young boy was writing a short story on snakes; he changed the word mistake to “missnake.” When I was in 2nd or 3rd grade I did this exact thing (different word of course) and the teacher turned it down just like the boy in Chapter 4. I think things like this is so important to allow children to do even though it may not be the most grammatically correct. Chapter 4 really pushed this because taking the imagination away from our students also allows them to lose their motivation when creating these future stories. Chapter 4 also talked about letting children feed off of each other’s work and to not see it as copying. Allowing them to choose their topic and take an idea that their friend did the week before and make their own is the foundation of an amazing short story! This really provides some self help not to mention the inspiration from their peers instead of the teacher. Chapter 5 had just as amazing viewpoints as Chapter 4; in fact, some that I can’t wait to use in my future classroom. The first one being, bringing in books that inspire your students to make one just like it, or a book that has a format that you would love to see some of your students try. When reading these books, it would be really good to point out “look at this, look at what this writer is doing, this is so cool, maybe one of you could try this next time”: just some boosts of knowledge without fully telling them what you’re wanting them to do. The thing I loved most about Chapter 5 was that it provided the insider knowledge of a “walk through,” this being, take a book and read it aloud while having the students point out the things they noticed or might like to use next time with their own story line. The next section we were asked to tackle was Appendix E. This section really focused on text structures and how creating them can make six year old work that much better as simple as it may be. On pages 180 and 181 it gives actual examples of text structures of a book about sea creatures, and although it may not flow like a college level essay, it has the basic idea of things that live in the ocean such as Octopi, Sharks, Dolphins and Whales. Something as simple as different text boxes helps the students really learn and understand what they’re writing about as well as preparing themselves for a flowing essay just by adding the transition sentences. Then for my favorite part of this make cycle, the mentor texts! These children’s books were funny, cute, and had a lot of great ideas for future adult and children writers. The first one was I Wanna Iguana and it was so fun and totally relatable. I really liked how many of these texts used the illustrations to make the letters come to life. The arguments between the characters (mother and son) were so much like the conversations I used to have with my mom at that age. The young boy’s points to his arguments made me wonder why I never thought of that when I was trying to win over a puppy in the 3rd grade. The second book we read was Click Clack Moo; this book was one I have read before and I think it’s a really fun one for the kids because what isn’t fun about animals coming to life let alone knowing how to argue and type! The repetition in this book was strong and really helpful to follow along even when the animals changed from cows to ducks, etc. My favorite out of all the books we read was The Day The Crayons Quit. I have never seen something so cute and original in my entire life! The illustrations were amazing and I love all the little details! 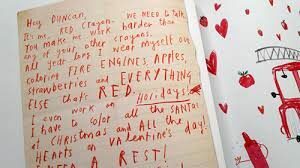 The letters were the color of the crayon writing the message and some of the illustrations drifted over into the other page to make it more realistic and fun hearted. The author did an amazing job on this book and I really look forward to using it in my future classroom. The last story we read was I Want a New Room. This book was written by the same author of I Wanna Iguana; he put such hard work and creativity into his stories I would definitely recommend them to anyone. Our final step to Make Cycle 4 was our “makes.” We had the option of many different things such as campaign posters, argument passages, Advice columns and many more. I personally chose to make three campaign posters on empowering women, but I chose a few of my favorites to share with you created by my fellow classmates. Raenni Pilgrim did the first one I want to share with you. She decided to make some hand drawn posters, which I loved! Her focus was anti bullying and her posters promoted positivity and encouragement to not bully. The thing that made me notice her posters was the fact that they are much different then the typical anti bullying poster (red circle with a line through it). Also she targeted the victim rather than the bully; her focus was to build them up and not allow harsh actions tear them down. Erin Spranger did the second one I chose to highlight. Erin chose to do a rant, which I found quite funny. She rants about slow walkers and how they are so distracted by their phones. This couldn’t be more true! People get so caught up in social media, a text message or an email, and although it may be important it is so annoying for those around them! 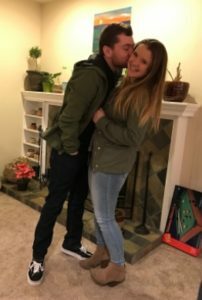 I really enjoyed Erin’s post and I thought you might also. I understand that you might not want to go where ever it is that you are going, but at least try to walk in a straight line. By not walking in a straight line, it is preventing me from passing you. It is also causing me to be later to my destination than I was originally planning. When you choose to not walk in a straight line and I try to pass you, it causes you to almost run into me because you start drifting over to the side I’m trying to pass you on. I also understand that whatever it is, maybe a text message, that is making you to stare at your phone, causing you to progressively slow down, may be important. But if you are going to slow down because you are trying to not run into anything while you stare down at your phone, step off to the side. Don’t cause everyone else who is in a hurry to get to where they are going to walk slower because you aren’t being considerate. Or just wait to look at your phone until you get to where you are going. Nothing is that important to cause you to hold up people trying to walk because you are trying to read the message that was sent you. So please, I’m begging you slow walker, either walk in a straight line to allow people to go around you or step off to the side to read that, “It’s too important to wait” message on your phone. The last “make” I wanted to share with you was done by Baylee Galloway. Baylee wrote an advice column from a girl wanting advice about moving in with her boyfriend. I love how personal she made it by really seeming like “Confused Caty” needed some serious advice. The response given to Caty was very professional and helpful! I really do think that if anyone in our class was going through a similar problem, they could totally take her advice. Ask Amy, I am in desperate need of your help! My boyfriend I have been with for about a year now asked me to move in with him!! I don’t know if me moving in with him will be too fast or if I should just do it. But moving in with someone is a big deal. I mean I like him love him maybe but this is a big commitment. What if he just absolutely drives me crazy if I move in??? Sometimes I just want to be alone and have my own space you know? I’ve lived by myself a long time what if I can’t live with anyone else? Please help I have no idea what to do! You’re right moving in with your significant other is a big step in any type of relationship. But him asking you shows where he wants your relationship to go. It seems like he is in it for the long haul. Write out a pros and cons list of living with your partner, write down all of the potential problems and issues that you two might encounter. Ultimately you have to ask yourself if you are ready to take that next step in your relationship with him. If you are talk to him about all of the things that you are weary about. Talking and letting your partner know where you stand and how you are feeling is always important. It shows that you care and want to talk through your feelings. All of these stories and texts for this makes cycle were so interesting and super enjoyable so I was very excited to get to be a featured blogger this week. I hope you enjoyed! Author Bio: This is my first semester at Chico State to get closer to my ultimate goal of being an elementary teacher. I am 20 years old and am a momma to the cutest fur baby, Pongo. He is a pit-bull that just turned one year old and is totally named after 101 Dalmatians. I love all things Disney and, of course, shopping! For Make Cycle 4 we read chapters 4 and 5, along with Appendix E. We observed the argumentative letters from our mentor texts, and even had the opportunity of creating our own form of persuasive writing. For the first the About the Authors portion of Make Cycle 4, the response that stood out to me the most was done by Dana C. think that I was so intrigued by her response style because it sort of reminded me my own. Often times I want to write something short and sweet but can never seem to complete an assignment without sharing all that I have learned and observed from the book. In reading Dana’s response, I felt like she must be the same way as she had so much insightful content to share and I am so glad that she did. While both of our responses had a lot of information, Dana gave me a new perspective on the same topics and delve deeper into topics of the chapter that I barely scratched the surface of. Chapter 4 took us deeper into teaching even the youngest students the process of writing.This chapter of About the Authors showed us how students can use the writing process to write books. They begin with prewriting. Prewriting includes finding ideas for writing projects, so based on the instruction of the teachers, students will choose what topic to cover within that introduction. It also includes growing ideas for a writing project, for a young author this means learning to take the time to think and talk about the idea they want to write about, before they actually begin to write it down. The final step of the prewriting is planning and drafting. The chapter then goes into the details of revision, editing, and publishing. “I learned quite a bit. Many of those things were eye opening and made me realize I cannot rush students into the writing process. Each student may have their own process, but the main thing is to get them writing first then later focus on the rest. As teachers, we have to learn from our students and see what works best for them” (Dana C). I was really intrigued by her interpretation of the chapter because in her response she pointed out how as teachers we must start slow and have realistic expectations for young writers. Through Dana’s response I learned that we can teach children through their own knowledge of writing (allowing them to build upon prior knowledge of writing and simply get started first) and still expect their best efforts without pressuring them to produce the work of professional writers at this point: “A six-year-old’s writing differentiates from an experienced writer. We cannot expect so much from them at such a young age when they are still learning and growing. We must be there to support them” (Dana C). Chapter 5 was all about the whole class lessons the author gives young students to help them explore the possibilities of writing. They expose the students to different styles of writing and allow the children to uncover differences and similarities and to begin to realize that they can try and incorporate these different forms of writing into their own work. I thought this was brilliant because it helps children to naturally build up a knowledge of writing skills through learning first hand from experienced authors. Dana couldn’t have put the ideas behind the mini lessons better when she said, “…it shows us different ideas on how to teach students to write rather than what to write. The students already have their own ideas on what it is they want to write about, but we must just help them find ways to write about those certain ideas” (Dana C). Appendix E was about teaching children to structure texts in interesting ways. The author teaches the children to recognize the structure of texts by helping them see the same structures used by different authors in different books so that they understand that the particular structure is not limited to one particular author or one particular text. Dana helped me understand this lesson in a new way: “Appendix E taught me that structured texts are very important. As teachers, we should make sure our students know that each and every one of their ideas or thoughts can combine in order to make one big idea” (Dana C). Her perspective really opened my eyes to how important helping children to understand and compare and contrast structure of others’ writing is in developing their own writing. These are the types of responses needed to really learn from others! “I did notice that all four of the books used quite a bit of figurative language like personification, hyperboles, alliteration, and sarcasm” (Karen Fawn). Karen taught me that I Wanna Iguana used a lot of hyperboles like when the mom said nobody would marry him with a six foot reptile. I also noticed that Karen and I were both drawn to the fact that each story was shared in a way that appeared like real handwritten or typed letters on each page. She pointed out to me that Click Clack Moo was full of personification because the cows are doing so many human things like typing. She also taught me about pathos and logos by informing me about how these are used in The Day the Crayons Quit, as the crayons play on the reader’s emotions and facts and demonstrations in order to persuade them to their point. What I loved most about Karen’s response was that it was educational but in a very entertaining and humorous way. With each sentence I could feel myself smiling from what she said and found myself wanting to read on and learn more. This is what is needed in a teacher! The final part of Make 4 was the most exciting. It was where we students got the chance to create persuasive work of our own. I chose to do a letter inspired by The Day the Crayons Quit to myself written from my over worn black boots, but my favorite make was also inspired by this story from Chelsea Peterson. In her make, “The Great Toy Rebellion,“ the toy cars write a letter to Nicholas about how they don’t like to be smashed by big trucks or rolled through mud. The dragon is tired of having to play the bad guy and the firetruck is depressed about being replaced by Batman. The favorite toy, Batman, has no complaints and no sense of modesty. He loves being the top toy and believes everyone else is just jealous. This was such an awesome read and a beautiful demonstration of argumentative writing. This is what is needed in an author! Each of these Make 4 curators taught me so much about our learning process this week. I learned to observe our readings, mentor texts, and make assignments in a new way that will force me to think harder and dig deeper for future assignments. Author Bio: I am Samone and I just turned 29 years old. I have been happily married for 9 years, and I have four children ages 10, 7, 5, and two. I have been working as a preschool teacher at my former community college for about 3 years and I love it. I lie awake at night because I am woken up with new ideas about fun ways to teach children. I have a hard time focusing because I have so many things I want to do in arts and crafts and teaching but they all revolve around children. I have always known I wanted to be a wife and mother and have always had the feeling I was meant to teach. I love preschool but am excited about exploring the kindergarten age. My goal is to spread the joy of learning like wild fire, so no one and nothing will ever be able to put it out. Hi everyone. I just wanted to say that the quality of work that everyone has produced is amazing. When we started this class I truly was intimidated by writing and having such “broad” guidelines. I think that our text does a good job of making writing simple and enjoyable. When taking these methods into our writings, it really does make our work so much better and it is clear with all the work that everyone is producing, so good job! When taking a step back and looking at all the Makes it was really difficult to pick just a couple. I think one thing that all the Makes have that made them stand out to me is the fact that people wrote about something personal or issues that are currently in the spotlight. Chapter 4 and 5 really breaks down making writing simple and creating a routine in which students always know what to expect. Chapter 4 talks about each and every break down of writing like brainstorming, closing, and editing for punctuation and spelling. Chapter 5 also gives use more examples of how to combine writing into everyday activities. I think the most important aspects that we take away from both chapters has to be routine of writing and embedding writing into every day. To create quality work we must change the way we go about writing. Ashley Evans and her argument about banishing Child Leashes: Ashley immediately grabbed my attention with her interesting argument and catchy title. I personally hate leashes but I wanted to see what kind of arguments can be used so that we can get rid of those things. I have always thought that the leashes make the children look like pets, which they clearly aren’t, but I never really thought much about any more arguments. Ashley states, “Parents exerting excessive control: Young kids need direction and in most cases that comes from their parents setting guidelines. It’s not overboard to make a child with a bad temperament do some things they don’t want, but strapping a leash on them is not one of those things. There are cases, and most people may have witnesses a situation similar, when the child is showing strong disdain towards wearing the “child harness.” I think that the about of information Ashley gave is important because it gives us logic. She accurately defended her reasons and gives us more logical explanations, such as the fact that a child harness can create certain feelings with the children. She also did it in a way that was easy to understand and it wasn’t filled with confusing science. Yorleidi Langarcia’s arguments on DACA really hit close to home. Over the weeks of our course, our work has proved that if it comes from a personal places, it makes out writing so much better. I was drawn to Yorleidi’s arguments because of the tension there is regarding DACA and immigration reform. I think Yorleidi did an amazing job about giving us all of the information over DACA and giving us helpful tips. I believe that it doesn’t matter what side of the argument you are on, but we have to find a way to fix the current situation. Your Tapatio salsa is also pretty funny and brings a little bit of laughter into an intense situation. I also think that adding links with important information made her posters stand out. She is not only giving her argument but adding supplement information about DACA. I could definitely see her posters being distributed to people. I know many people who are documented and are still afraid of police and ICE. I think a chunk of this comes from misinformation and lack of information about their rights. I think having this information is important. Good job getting all this information together. 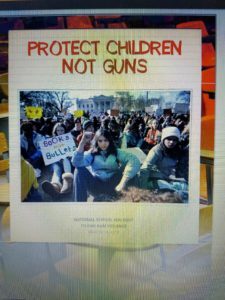 Janette Herrera’s argument on the Nation’s Walk Out Protest and gun violence in schools was refreshing. I really enjoyed reading information by someone who actually experienced the protest. I think right now we have a lot of misinformation going around that will stun the solution. I think the simple slogan of “Thoughts and prayers aren’t bulletproof” is powerful. I live a few minutes away from where a man went on a rampage killing his wife, making his way to a school while killing people on his way and then opening fire on campus while children were going to class. The shooting at Rancho Tehama really changed everything for us. Schools now are doing lock down drills every week and the police presence at schools have increased. While I don’t think that banning guns will fix the issue, giving our youth a chance to give their opinions in situations that are impacting them will be the change that we needed. I have students that start freaking out over the sound of a book dropping on the floor. Having people start the conversation is the beginning of all the change. Good job everyone! It was hard to pick out work so keep up all the good work! 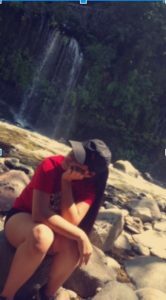 Author Bio: My name is Adriana Cea and I just transferred over from Butte College. I hope to finish completing my bachelors at Chico State in the next couple semesters. I love working on my art and expanding my knowledge in the arts. I love spending time with my many siblings and just getting out of my regular routines. I am constantly curious about education and new information and techniques. After reading chapter four, I liked that there are ways to discover a variety of processes students use on their writing. I like how the writing processes are based on the students needs and how their mindsets may process writing overall and how they can use their own writing. I like the idea one of the the authors had on allowing the students to write first that way they can write however they are used to writing before a process is established on them. This is a way to kind of observe and see where a student stands before creating a process that doesn’t suit them at all on their development of writing. Giving students a step by step process can be difficult for them to focus on or even remember! So I believe it’s best to just focus on one thing at a time until they have improved that skill, at least when students are beginning to learn about writing. Also, before students start to learn about errors, I think they need to focus on their thoughtful writing and why it’s important to create a piece of writing that has some thoughts before learning about revisions among minor edits and errors. Once they have achieved that they then will receive guidance in increasing their development and adding a couple more steps at a time. The authors make a great point on how important it is to help students develop their skills and increase their ability. Also, when students are set on one step they will feel confident to move on and won’t forget the step due to them fully understanding it. After reading chapter five, I got to learn a lot on what’s appropriate on operating mini lessons with students. I liked how the lessons are based on “sharing control” and allowing students to lead, discuss, or even operate a certain part of the lesson. It can be stressful and discomforting at times for a teacher or students based on reactions and quality given. Giving the students the ability to run a lesson or lead a certain part of the lesson is giving them an opportunity to express their knowledge and look forward to it. It also is giving students an opportunity to learn from each other, such as how Kayla taught and expressed her book idea to the whole class. Students can learn a lot from each other and get lots of practice on how to help one another and express their knowledge to the whole class. Before connecting students works with other mentor texts it’s important as a teacher to learn and teach about the author’s texts beforehand in order to help students make connections of those texts with their own. Overall, the ideal goal is to give and guide students towards some techniques they can use on their writing, instead of teaching them what to write. The overall concept of the lessons is to get students to thinking about how they got their ideas and illustrations from. This gets them to thinking like future authors and understanding and connecting with how the authors are inspired. In the Unity Study E, I was able to learn the importance of text structure and how important it is to include it and teach it. By teaching students text structure you are allowing and guiding students to think in a “tangible way” on how they write. This helps the students get to focus on how they write in a thoughtful process, while creating less errors and revisions. I like that the authors included text structure as being important and something that teachers should observe and connect them to examples on which can be very helpful for students. This also will help students on learning different types of text structures and how to examine them among others works. For example, Kayla had a structure of repetition among her informative text on showing us what animals are capable of doing. Overall, text structure is important to establish and observe the structures there are out there Once someone is able to find text structures in other texts they then will know how they might establish their own structure. The interesting discussions we had about the ideas this week in our G+ Community was on how powerful mini lessons can be for students on being able to “share control” on the lesson being taught or discussed. This allows students to look forward to leading the lesson and getting to share and express their way of thinking and feeling that they are having throughout the lesson. Another interesting discussion we had was on how important it is to help students get on the right direction with guidance but without discouraging their thoughtful process they have on writing the way they do. 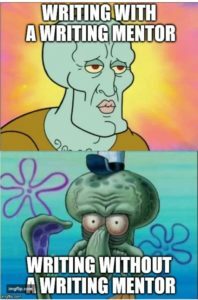 After looking at all the makes in make cycle four, three stood out to me. One of them being Raeni Pilgrims’ make. She created a great make on a way to help students reflect on themselves and on others. Her idea on creating an anti bullying poster is needed for students and in a classroom setting to create awareness. 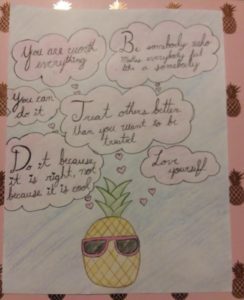 I like her different take on her posters: instead of telling students right away what they shouldn’t do, she creates a motivational message on helping students see how they can build up their self-esteem and towards others. Students look at these posters and learn to understand and think about the actions needed to take place to create a safe environment. Overall, I like her intent on focusing on another issue that occurs in bullying besides it being a physical aspect, instead it also is an emotional abuse. This make Raeni made reflects on chapter four what the process is offered instead of including a set of steps. This allows students to know what direction to choose from by looking at the poster and get to choose from one of those actions provided. This also leads to chapter five on creating a formal approach to help students understand the main message on how to prevent bullying by reflecting on themselves and get guided in the right direction. The second make that caught my attention was Taylor Roberts make on the awareness and prevention of suicide. I loved how powerful her posters are on connecting with her audience on giving a sense of understanding their struggle and letting them know that they are not alone. I also love how informative her posters are on providing statistics and the types of signs to look out for on those who are struggling with their emotions. 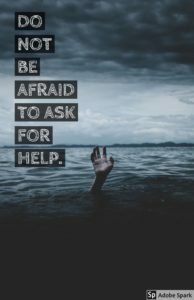 These posters are designed for people to not be afraid or feel alone to reach out for help from anyone. I believe this kind of topic should be incorporated into some type of mini lesson for a group of students that are age appropriate to understand and reflect upon. This also would be a great way to connect and be able to express feelings with one another while receiving a sense of support and resources on reaching out for help. The third make I chose is Rebecca Barragan’s classroom rules. She focuses on an awareness of how important it is to create a safe caring environment with the spread of kindness. I like her take on these posters on providing a visual and informative piece with the quotes provided, which allow students to see and decide upon how they should address their actions in the classroom and around people in general. This kind of make reminds me of the readings where students decide their path. However, as future educators we have the ability to redirect students to the right path and help them make wise choices on the type of action(s). As well, as helping students understand the different types of settings and situations and how that shouldn’t reflect on having a negative environment and actions. Author Bio: Hello everyone! My name is Alma Rosa Lopez, but everyone calls me Alma for short. I’m 20 years old and I live in Orland, CA. This is my first year at Chico State as a transfer student. I transferred from Butte College and ended up in Chico State due to the great Liberal Studies program they offer. I plan to receive my BA in spring 19 and then plan to enter the credential program in the fall. After all that, I plan to continue my education by finishing it with a Master’s in education. The interests I have are that I love all music, the outdoors, traveling, and animals. I also love to hike beautiful places and get crafty. I’m also a huge fan of all things Disney. I want to teach general education and special education, however, I’m more interested in teaching for special education. I want to teach children in K-12 for special education and those in general education I would like to teach those in 2-12 grades. I want to be a teacher because I love children and their amazing outspokenness and curiosity. I also want to make a positive difference in children’s lives and in their education. Most importantly, I want to break the stereotypes that get labeled and defined as individuals with disabilities. I want to inspire our society that children with disabilities can have the same abilities as others and can create new abilities. Overall, I want society to stop defining individuals with labels and instead of noticing their abilities instead of their disabilities and get treated the same as an individual without a disability. For make cycle 4, we had the opportunity to explore compelling arguments. What I like most about this genre of writing is that it provides a platform for opinion. We began this make by reading About the Authors: Chapter 4 & 5 and Appendix E and posting about what in these chapters spoke to us, was interesting, or perhaps even confusing or unclear. Chapter 4 in About the Authors reiterates the importance of getting little ones writing before we instruct and fine tune the writing process. Karen Fawns says, “In chapter 4 I find it intriguing that to begin a writing workshop you don’t teach students a process or give them steps to follow at first, for you just give them some paper and a pencil and ask them to make something with writing. At first, I was thinking that is crazy chaos in the making, but as I read on it says that through observation you can see what the children already know or don’t know, so you build upon those foundations it made sense.” It can seem counterintuitive to begin anything in the classroom without explicit instruction and Karen does a great job explaining the importance of using this tactic when getting our students writing. As Rebecca Lee sums up, “In chapter 5, (we) learned about all the things I can teach in a writing workshop. These include techniques, strategies, understandings, conventions, and questions.” In our mini-lessons, we will use a variety of texts to help give students ideas for “how” they can write their books. I love that students will be able to absorb and apply this information more effectively because we will have instilled a writing identity upon them. One idea that educators can use with their students that resonated with many of us was described by Christina Barbaccia as “having a class study published writing. Having the class involved in the study of a particular author can benefit students in their writing.” Christina also provided a great example of how this would look in a classroom, saying “when reading a particular text, you can ask the students what they notice in the book’s structure, and then the teacher can write the student’s comments on a chart. Once the students are finished with their analysis, the teacher then can go over these features and encourage students to replicate any of these ideas in their own books.” Learning from mentor texts in this course to create our own work is a great way for us to practice studying and applying the tactics used in other authors’ writings. For this weeks mentor texts, we first looked at I Wanna Iguana and I Wanna New Room by Karen Kaufman Orloff; these adorable children’s books were written as a series of convincing letters back and forth between parent and child. Cheyenne Boles captured many of our feeling this week when she said “I LOVED the mentor texts this week. They were cute, funny and had a lot of great ideas for future adult and children writers. I Wanna Iguana was so fun and totally relatable. I really liked how many of these texts used the illustrations to make the letters come to life.” We also read The Day the Crayons Quit by Drew Daywalt, which also used the letter writing format, which can be very useful in argumentative writing to persuade an audience. Click, Clack Moo Cows That Type by Moreen Cronin was the other mentor text this week. This was a book about animals that used a typewriter to convey demands to the farmer. I like how Brittany Walker was able to see how this story could be used in her classroom one day. She said, “this would be a great writing assignment for students to take to role of someone or something else. They could write an argumentative piece in character that has wants or needs that they need to convey to someone else. I think this would be a fun way to write and bring out creativity in students.” I agree with her, and I think that this is evidence that Brittany is already beginning to think like a teacher. The options for creating a compelling argument make this week were many. The choices included writing an advice column, making convincing posters, creating an advertisement or funding pitch, letter writing, an educational blog, or writing a children’s book. I’ve chosen a few of my favorites to share. The first make that really spoke to me was The Day Money Quit by Erminia Gonzalez. This story was so much fun to read. Erminia chose to write about a topic that everyone in our class can relate to… money. I like how this story was modeled after the mentor texts and used letter writing. She appeals to the readers logos by demonstrating the flaws of digital money. Because of the relatabillity and use of tactics that grab the reader’s attention, I fully enjoyed reading this short story and was totally convinced that cash money is the superior currency. This was super cute. 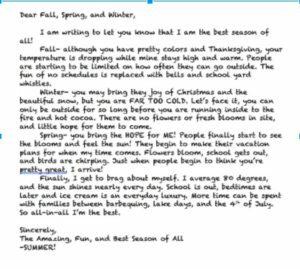 Through letter writing Allison does a great job convincing the reader that Summer is best! I thought it was very smart how she began by addressing the shortcomings of Fall, Winter, and Spring and ended with the many reasons why Summer is the best season. I also like how she borrowed the use of a creative sign-off (The Amazing, Fun, and Best Season of ALL) to further her argument. Creative, convincing, and delightful to read. This children’s book was great because it used information about the four different types of teeth to convince you of the importance of keeping them clean. Knowing the significance of each of the teeth we have provides the strongest argument for why it is ever important to have adequate oral hygiene. I love that Beatriz was able to incorporate expository writing into her argumentative piece this week, because it adds to the story and as we’ve learned, rarely is a text only one genre. The pictures are also very cute and help the reader understand the content. Well done Beatriz. Author Bio: My name is Erin Russo. I’m a returning student with hopes of becoming an elementary school teacher. I’m passionate about education, and hope to have the opportunity to give all children in my classroom an opportunity to find joy in learning. 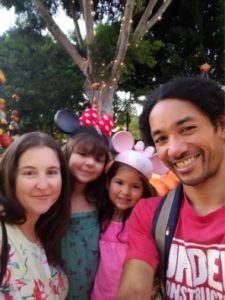 My husband and I are raising our two young daughters in Lincoln, CA where we enjoy walking to our neighborhood park, home improvement projects, and hosting our family and friends. “While they are in this living-with-an-idea part of the process, they grow their thinking about the idea by collecting all sorts of related, random thoughts and sometimes by writing reflectively and extensively about the idea” (About The Authors 64). Our make cycles this week were inspired by argumentative writing. It was our challenge as students to explore the ways to persuade an audience to think a certain way. As future educators, it is important to understand the art of argumentative writing because it is apart of California’s standards as well as Common Core. The students in our class were asked to examine Andrea Lunsford’s article “Our Semi-Literate Youth? Not So Fast” (something our class has used in the past), I Wanna Iguana and I Wanna New Room by Karen Kaufman Orloff, Click, Clack, Moo, Cows That Type by Doreen Cronin, and The Day the Crayons Quit by Drew Daywalt. As future teachers, it is important to keep on the lookout for new writing ideas for our students. I think these books create a sense of activism for students. Teaching students skills to negotiate and see other points of views can build argument and encourage research for students’ personal ideas and beliefs. There so many wonderful makes in this make cycle. At first, I did not understand what argumentative writing was. Then after reading the mentor text and the chapters from the textbook, I began to understand. Seeing my classmate’s makes also helped me understand as well. It is an honor to be apart of this online class. Our Google+ community is creative and informative. Sometimes I learn more from looking through classmates’ makes. Learning independently and later collaborating with others makes digesting information easier. Raenni Pilgrim’s Pineapple ads caught my eye. 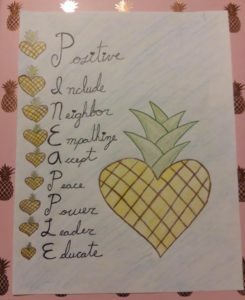 Her idea behind the pineapple of being aesthetically appealing to viewers and having a positive message of anti-bullying is revolutionary because we are a society of saying no and keeping all the sad things in our world under the rug and never talking about them. Thank you for creating this Raenni! I also enjoyed Hannah Hugh’s Smore campaign on giving less homework. She explained to our classmate that she was happy to use Smore instead of defaulting to StoryJumper. I loved the reasons she used to justify her reasoning behind giving less homework and she created an outstanding compelling argument. The pictures she used also added emotion to readers when they read the reason behind why teachers should give less homework. Good job Hannah! Author Bio: My name is Sean Gamer. When I am not in the classroom, I love to be outside playing tennis with friends, hiking the trails of Upper Park in Chico, and reading books. 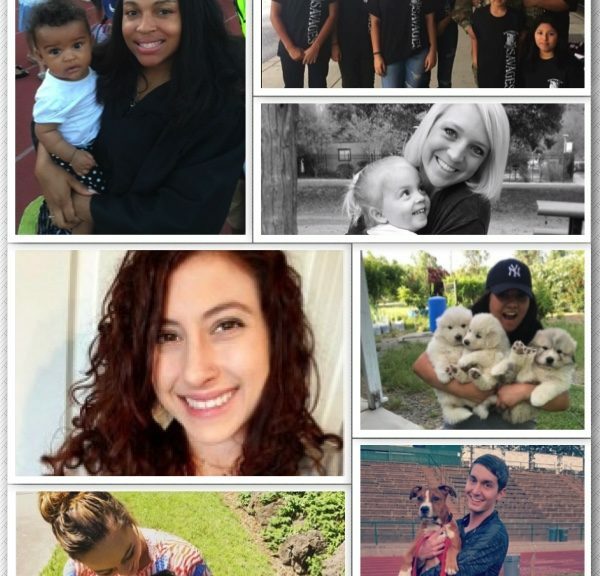 I am a senior at Chico State and plan on entering the credential program and becoming an elementary school teacher. I love animals and someday want to go to Australia. Moments ago, you should have received a grade update that takes us through to tonight’s Make (Compelling Arguments). I loved reading your insights into chapter 4 & 5; thank you! I appreciate how much all of you are noticing that there is a time and place for pushing and playing with structures and forms, editing and revising, and precision…but not as the first thing. The first thing with writing is to have something to say and someone to say it to: words on the page. Importantly, we should ask writers, even our most nascent writers, about their own composing practices before imposing ours on them. We do not need to teach every kind of writing as if it’s a five paragraph essay for a timed writing exam: that’s school writing, not the kind of writing done in the world. When you teach those structures, help students to notice that timed writing is a certain kind of thing, not THE way the write. Yep. Loved reading your responses. Make Cycle 5 is up, but feel free to go on spring break and not think about it until you return. 😉 You have a response due March 30 on chapter 6, so plenty of time. I did go ahead and post it though because Make Cycle 5 is about multimodal composing and one option for the Make is to create your own website, perhaps your teaching portfolio. Some of you might find it fun to play with this over break when you have more time or fewer course assignments (I realize many of you have other jobs and/or are parents, so “more time” might not be a thing in your life). Here’s my short version of my website and my fuller version: two different sites that I use for different purposes. The shorter site is more like a virtual business card that I share when I give talks. It takes a long time to curate a digital identity as an educator and this Make Cycle invites you to get one started if you haven’t already. But there are other ideas for this cycle too….you don’t have to make a site. It is an invitation. Make 4: Compelling Arguments Make is due tonight, but honestly, if you need until tomorrow night then that is fine too. I most likely won’t have a chance to do another grade update until after break…I have some writing deadlines of my own. Featured bloggers—Rebecca Barragan, Cheyenne Boles, Samone Burge, Adriana Cea, Hannah Hughes, Sean Gamer, Alma Lopez, Erin Russo–your blog is due when we return, the evening of March 26th. Sending earlier is great too, of course. See the previous email I sent y’all (subject line for email has YOUR TURN in it if you search) for instructions. Appreciate the conversations we are having about teaching writing. Y’all rule. Hope you do, in fact, get some downtime next week. Through the process of Make Cycle 3 we had the opportunity to read chapters 2 & 3 from About the Authors. In chapter 2, we were introduced to writing workshops within the classroom and just how important it is to set aside writing time for children. The best way to support students as they practice writing is to set them up for success by allowing them to choose where they want to sit to create their story, adjusting how much time they are allotted, and encouraging them to share their work among their peers. Katie Wood Ray and Lisa Cleaveland do an excellent job at demonstrating just how important it is as future instructors, to understand how work, space, and time go hand-in-hand. In chapter 3, the importance of writing workshops was extended throughout the reading as we touched base on how you can correspond your classroom and daily routines to help your students understand literature. My favorite part about chapter 3 is the amount of information I was able to take away as a future teacher. I found the Environmental Support section to be the most interesting (40-41). I found myself nodding as I read these pages, as I agreed with the reasoning behind environmental support in a classroom: “We don’t underestimate the power of environmental print to support language learning either.” It is true that print can cover the room in various ways for the children to use it as a reference for their own writing, and even reading: “The walls, desks, tables, sides of bookcases, even the floors-basically, every flat surface in a primary classroom classroom-can be filled with print that children can look at, wonder and talk about, and use as a reference when they need it to help them with their own writing.” I think it is an excellent idea to have alphabet charts, number charts, color charts, pictures, calendars, signs, labels, name tags, word walls, class charts, and alphabet strips. I also enjoyed the idea of “talking into our routines” (42). Example: “If the name of your favorite ice cream starts with v, you can get in line now…” there are just so many insights with each reading. In our Google+ Community we spent all week discussing the assigned chapters and what we were able to gain from each additional assignment. I would say the hot topic for discussion was the analyzation of Edward Gorey’s ABC book. This book was one of the mentor texts that we reviewed in Make Cycle 3, but over 50% of the class thought it was a creepy, dark, and unusual text. Another interesting discussion was expository writing itself. The purpose of this Make Cycle was to learn about expository writing and most of my peers were able to come to the realization that although expository writing is informational, it can be happy, playful, and fun! We were lucky enough to experience two amazing mentor texts for Make Cycle 3. Are you a Dragonfly? by Judy Allen and The Gashlycrumb Tinies by Edward Gorey. Both authors are teaching children through a story format in a way that is unforgettable. Judy Allen takes an informative but fun approach to teaching a lesson about Dragonflies and how they live and adapt to nature. By having the dragonfly be “you” (the reader), it easy for children to use their imaginations and then the information they retain is almost hard to forget. Edward Gorey’s version of the alphabet is very creepy, but it is such a creative way to relate letters to the real world! For our “makes” at the end of Make Cycle 3, we had to construct an expository text, infographic, piktochart, ABC book, or video to demonstrate that we understood the purpose and different approaches behind expository texts. Cori Hale’s “make” was by far one of my favorites because of how brave she was within our google community. She actually made a tutorial video that was very informative on how to style hair and “make it look pretty” even after not washing it for a few days. I actually recently learned that you are not supposed to wash your hair everyday (whoops, I have been breaking this rule for years) mainly because I have thin-ish hair myself that tends to build oil quickly. Her “make” was one that I can actually log on and watch again one of these days to style my hair. I am so happy she found a way to make an “informational” video fun, and changed it up compared to our usual scenery of posts. I would assume she was most influenced by the book Are You a Dragonfly because she gave information in a way that had the viewer completely intrigued, much like Judy Allen did. 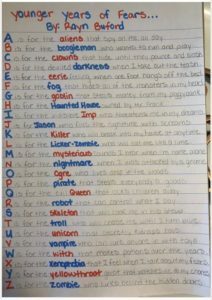 Many of my peers seemed to be inspired by Edward’s Gorey’s ABC book, as they came up with some sort of alphabet book themselves. Not all of the inspired “makes” were creepy and dark like Edward Gorey’s story though! Some “makes” were cute and happy such as Maritza Caceres’ story. Maritza gave each letter a theme with a human characteristic, much like Edward Gorey did. She used kid-friendly words and even made her illustrations with all shapes, which made it even more resourceful. I really liked how her overall theme was connecting vegetables and fruits too; usually kids avoid new foods so it could be a great tool/idea to put a positive twist on fruits & vegetables, learning the alphabet, and studying shapes! Another alphabet approach came from Josue Nava in his make, which was a story about animals eating humans! Still not as scary as Edward Gorey’s, but in the eyes of the first grader it is probably a little creepy even though it has a silly twist. Each letter A-Z was represented by an animal and he did an excellent job at describing each animal. It was so fun to review everyone’s “makes” and I love how we all always take different approaches. As future educators it so important that we remember how to think outside of the box! When the standards tell us to teach our students about expository writing, we can teach them with confidence that you can write an informational story that is fun and engaging. In a nutshell, my peers and I have enjoyed the About the Authors book, and Make Cycle 3 because of the unlimited insights it offers to us as future teachers. Author Bio: I am a sophomore at Chico State. My ultimate goal is to pursue my dream of becoming a Special Education teacher. I’ve always had a love for children so I am super excited to become an educator and even a mother someday. I have four (animal) babies (two dogs and two cats) that are my whole world! My favorite movie is “Tomorrowland” and my life pretty much revolves around school and being a full time nanny. I love that chapter two of About the Authors introduced the way a writing workshop should be introduced to students and how one is organized. I found this to be very helpful as a future teacher who may incorporate writing workshops into my classroom. The sections “Understanding Space” and “Understanding Time” are things I may have never thought of on my own. Providing supplies in easy to access areas for children is something I try to do in my current preschool classroom but is not something I considered when thinking about the writing workshop. Having both prepared books and blank paper available to students is a great way of scaffolding. Having all of the tools available will result in unimaginable creativity from students as they create their books. Creating a time frame that students must be working on a specific task the whole time and then stop when the time is up is a daunting task in its own. Slowly increasing the time they sit and work on their books and providing a five minute transition window is a great idea! Lisa commented, “The progressively longer time periods also help children to not be frustrated trying to ‘fill’ their time, as it helps them to get used to shorter time periods first, and then as they get better and more involved, that time will fly by and they will soon transition to a longer time period without even noticing it.” I think this is such an important idea! Children can get bored and frustrated when they are first starting a task. The progressive increase in time intervals allows for students to gain more confidence before diving all the way into the task of making books for an hour a day. It is definitely something that can be used in all areas of teaching, not just writing. Math stations can have a steady increase in the amount of time children spend at each station. Science, history, and arts can be done this way as well. Children will enjoy and be able to get more out of their school day when they are confident in their abilities to conquer the subject. I appreciate the units of study because they are something I can look back on as a teacher and create lesson plans from. Unit C providing texts and the techniques to help children pull from them is beyond helpful. I was also very impressed by Autumn’s story, Rainforest Adventure. It incorporates so many techniques she has probably seen time and time again. I love the “Enter Here” on the door to invite readers into her story. Cheyenne said, “I loved how the teacher included the ‘not so perfect’ books as well as the ones with illustrations that flowed. It’s so important as future teachers to make sure we are making all students feel like this is a safe place and a no judgement zone.” What an important idea that I did not even realize while reading the text! Children realizing progress is a part of learning and that everyone starts somewhere is incredibly important in building confidence. They have to feel like they are a part of a judgment free community that is open for them to learn and grow. As a future teacher, it can feel very daunting and stressful to consider the fact you must try to incorporate every subject throughout the entire day in a way that reaches every student. Katie Wood Ray and Lisa B. Cleaveland make it seem like an irrational stressor in chapter 3 of About the Authors. They explain how simple it can be to find everyday situations where writing can be incorporated. In center time, there may be centers where children work with letters and words. Reading aloud is something I love to do and never occurred to me as teaching writing even though it should have. Classroom environments that are rich in text help with writing and songs and games can even be incorporated to help teach writing. I remember a lot of the writing I did as a young child was my “Weekend Journal” and the packets where I had to copy the same words over and over again into different spaces. I thought I was bad at writing because I simply did not like it. I loved books though. I was always buried in a book and in my free time, I often attempted to create my own novels. If I had a classroom similar to the one Ray and Cleaveland describe in chapter 3, I may have loved writing. I would have known what to do with my ideas and how to channel them into a story. I love the example word study provided in figure 3.7 because children are given the option to practice their words in a way they enjoy. I also appreciate the fact that Ray and Cleaveland explain how to explain a writing workshop to parents. Many parents are very involved in their children’s lives and want to know exactly what you are doing for them and why. Being able to explain your teaching style in a simple and easy way makes this confrontation a lot more bearable. Christina said, “Encouraging kids to be aware that there is language all around them is a great way for them to think about language. Students can incorporate new words into future stories and projects which can add more personal elements in their stories.” Incorporating language constantly throughout the day can be an intimidating task but just making them aware of it does not seem so bad. Having them writing explanations in math when they are older is a great way to incorporate language and a very important skill for them to have. For young children, asking for a verbal explanation of things is another way to bring language into mathematics. Including different stations that incorporate language and using cross curricular lesson planning makes this much easier as well. Doing a quick touch base after every lesson to make sure children are understanding the objectives is another way to make them aware of the language incorporated into their lesson. “We open doors to strangers. where broken hearts can mend. from countries near and far! I love that the story begins with two children whose parents were born and raised in Australia and shifts to children from all backgrounds. I suggest listening to some of Mem Fox’s books whenever you get the chance. Possum Magic is a fun story about a grandmother who makes her granddaughter invisible and the adventure they take to reverse it. Where is the Green Sheep? is story that relies heavily on the images and the use of blank space which would be fun to show children. Her website is www.memfox.com if you want to check out her books. For our makes, Hannah Hughes’ ABC’s of the Special Needs Classroom caught my attention right away. After reading it, it has my attention even more. I expected this story to be directed towards children in a special needs classroom and to show them around. This story was not like that at all! This is an ABC book for teachers to learn about disabilities they may experience, guide them through teaching special needs students and encourage them along the way. 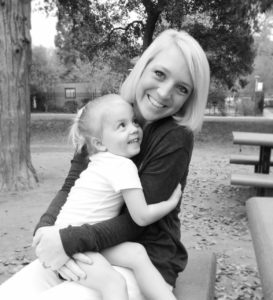 I think this story is incredible because special needs can be very daunting for teachers. I know I am very intimidated by the idea of it but a book like this is a perfect reminder that we, as teachers, have all the skills necessary to teach every child. “J is for Just Learn About It” is a line in her story. She goes further to explain that we should take the time to just learn about any disability we are unfamiliar with that we come across. I wanted to highlight this make because I love the spin on it. An ABC book can be a great way to break down something so complex for adults too. I also want to highlight Kellie Cabico’s Easy as 123 because of the fun narrative along to accompany the expository writing. This story is about how to clean up your room; it’s as easy as 123. You follow a young girl as she conquers the task of cleaning up her room. Her mother continues to remind her that it is as easy as 123 but it definitely does not seem that way as she looks at it. The girl breaks down her room into three steps and then shows it off to her mom. The tone makes a story about cleaning rooms actually very fun and energetic. The story has a smooth rhyming pattern making it memorable as well, “‘I’ll do it!’ Abby shouted. ‘But it won’t be much fun. I better get started with step number one.’” Kellie uses pictures of her daughter Abby (I’m assuming) which makes the story even more fun and relatable. Reminding children to start in one place before moving on to the next is important and this story does a great job of that. Author Bio: My name is Shelby Baccala and I am a junior Liberal Studies student. I started my college career at Cal Poly three years ago as a biomedical engineering student. After a year and a half, I realized engineering was not for me and made the transition to liberal studies. I was first placed in a first grade classroom, which was very overwhelming to me. I ended up really enjoying my time there and am currently a preschool teacher. I love working with the younger children but I think I still would like to teach 3rd or 4th grade. I have really enjoyed this class so far, so of course, Make cycle 3 would be no different. Let’s start with Chapter 2 and appendix C from About the Authors. I really thought it was a good idea setting the students up with mini lessons at the beginning of the writing workshops, laying the framework for what is expected as well as providing young minds with ideas to work off. The idea of the teacher going over past students projects and showing those to the current students can ignite creativity among them and show them something that was accepted as a complete project at the same time. I also feel it is very important to explain and show your students that not everyone has the same writing style, and by providing multiple examples of student work as well as the teachers work, the chances of a student being insecure or feeling that their work is insufficient could be minimized. My kids would really enjoy the post from Josue Nava and “ABC’s of getting eaten by unusual animals” (see above). It definitely turned into a good alphabet book: for each letter there was a child’s’ name chosen, an adjective, and then an animal all with the same first letter. It definitely took some time and is giving the reader additional repetition with the letters in an attempt to make them stick. Sometimes thinking outside the box and getting the students more into the story helps them retain the information. I was most drawn towards the post “How to make the best pozole” by Azucena Cuevas. I wanted to read into this post and take notes step by step just to see how pozole is made. I love pozole and so do my children. I have tried to make other authentic dishes, such as tamales, and failed even after repeated attempts. She does a great job of giving step by step instructions, yet I can see this plan going south in my kitchen. I have, however, just recently found an idea that could make the shredded chicken much easier. We have began cooking with a digital pressure cooker, and about 15 minutes on high cooks roughly 3 lbs of chicken breasts. Remove the breasts from the pressure cooker and put them in a stand mixer bowl with a paddle wheel on low and perfectly shredded chicken awaits. I was skeptical at first but it works great and is easy. 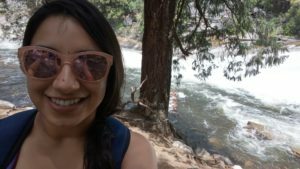 Author Bio: Hello My name is Jennifer Barajas-Goodwin and I am a Senior at Chico State. 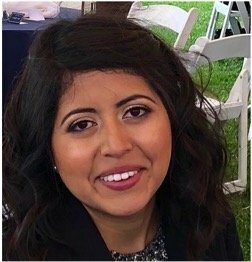 I am a Liberal Studies major with a minor in Special Education and Child Development. My education has been a long journey and I am so excited to be nearing the end. I am a wife to an amazing husband and a mom of four wonderful kids. We are a very busy and active family. My favorite things are my family, vacations, outdoors, my animals and just making amazing memories. I can’t wait to finish school and the credential program. My ultimate goal is to work in a TK or Kindergarten classroom. Make Cycle 3 was full of new discoveries! We focused on chapters 2 and 3 from About the Authors, written by Katie Wood Ray and Lisa Cleaveland, as well as Mentor Texts: Are You a Dragonfly? and Edward Gorey’s The Gashlycrumb Tinies. We then dove right into creating our own versions of expository texts and/or videos. “It’s deeply intellectual work we ask them to do when we ask them to write on their own. To put it simply, children need time to write so they can use all the separate bits and pieces of information about written language we are giving them to actually generate text” (53). It’s very apparent that we allow our students enough time to write so they can continue to gain experience. I also found it very important to learn that writing really isn’t just about conventions, but a whole body of knowledge that students need to be exposed to. Our Mentor Texts gave us detailed examples of what expository writing is and tips on how to format the information in a captivating way for students to learn. Are You a Dragonfly and The Gashlycrumb Tinies inspired many of us for our Makes this week! It’s clear that Josue Nava is a pro at using Story Jumper! His take on learning the abc’s, “ABC’s of Getting Eaten by Unusual Animals” was both comical and creative! Josue definitely put a lot of time and effort into this make, and that shines throughout. I loved that each person was being eaten by an animal; children can have lots of fun with this, especially if a student shares a name with one that is listed. Erin Russo’s “Are You an Elephant” was adorable! She did a great job of providing facts about elephants and the illustrations she got from Storyjumper were perfect. Erin depicts the perfect example of what a factual, yet entertaining expository writing should look like. I can confidently say I can now build a scarecrow or snowman out of pallets! Allison House took a different route and used instructables.com to demonstrate her “Scarecrows and Snowman Pallets.” Her instructions were clear and easy to follow, and not to mention how cute the outcome is! Final Thoughts: Everyone in this course has such great ideas, creativity, and insights into their future teaching goals. I am sure that all of us will become wonderful teachers. I look forward to the rest of the semester learning and growing alongside of all of you! Author Bio: My name is Jillian Pearson. I am a junior at Chico State and am hopefully finishing in the fall of 2018! Unfortunately, it took me awhile to realize that I belong in the classroom, but am thrilled that I took the plunge to go back to school and now that goal is not far away! I live in a small farming community, so my love for agriculture and livestock runs deep. You can find me outside with my cows, laughing with my husband, friends and family! Make Cycle 3 is complete and I feel that our class is getting into the swing of things. We are pushing what we thought were our limits in writing and discovering new ways to convey our thoughts to our audiences. In this make cycle, we focused on expository writing with mentor texts from Are You a Dragonfly? and The Gashlycrumb Tinies as well as some informative charts on education and writing cycles. We also read chapters 2 & 3 and Appendix C & D from About the Authors by Katie Wood Ray and Lisa Cleaveland. “And while the snow is here this brief moment, let us take a walk and see how beautiful the world is and then come back to our white, quiet homes and make something warm to drink and maybe read or play a game or tell each other all that we’ve been thinking” (Rylant, Snow). This use of ‘and’ reminds me of how children naturally talk and I think it would be an easy thing for the children to incorporate into their own writing. Our mentor texts this week helped us to use informative or expository writing in a fun and unique manner. Are You a Dragonfly? speaks directly to the reader, helping you to be drawn into the text. The book is almost like an instructional “How-to” guide, leading you through the steps like when the authors tell you to “Creep upon your prey, then shoot out your mask and grab it” (Allen and Humphries, 7). We are learning how to be dragonflies when we read this book. I also liked the drawback to reality at the end: if you look like this then you are a child and “you can’t fly,” which helps the children come back out of their imagination (Allen & Humphries). And she wasn’t alone, so I will agree to disagree on this book and appreciate it for its dry sense of humor and excellent illustrations. It was extremely difficult to choose only a few examples of the wonderful work being made and posted on our G+ community. Everyone has put so much time and effort into each make, as well as a piece of themselves; it really is incredible and an exciting experience for us all. The first work I chose was Lisa Valdez’s storyjumper book, ABC’s of Farm Life. The mixture of fun sentences focusing on a letter and the more in depth informational box make this book an excellent choice for both younger and older children. For younger children who tend to lose focus and, like my two year old, want to flip the pages before you are done reading, you can stick with the basic alphabet sentence. And if you have an older child that wants to learn more about the farm animals, you can go into more depth. I also like the highlighting of words that begin with the letter being focused on, something that I did in my book as well. This helps the children to search the page for the letter being addressed on that page. The second “make” that I chose was by Kellie Cabico who made a book to teach her daughter how to clean her room called Easy As 123 (see above). This is an excellent ‘how-to’ book on cleaning your room for kids. I wish I had this for my kids! I really enjoyed the incorporation of both repetition and rhyme, it makes the book fun and gives it a cadence on which you can rely helping you to focus on the information presented in the book. It is a very fun way to help kids get through the enormous task of cleaning their room, which is every child’s nightmare! The third piece that I enjoyed was Rayn Bufford’s abc poem called “Younger Years of Fears.” It was an excellent expository on popular fears for children. I like the rhyming and the use of color to emphasize the letter and the correlating word in each line. It makes it pop! I also liked the repetition of “is for the” at the beginning of each sentence; it helps to focus on the exciting part of the line, and also helps me imagine the droll tone that a narrator would use to make the reading a bit creepy and humorous at the same time. The final piece I chose to highlight was Erin Russo’s Are You An Elephant? (also see above) I loved the images used in this book; they gave it a very authentic quality. The information on elephants was perfect for children and the use of talking to the reader really draws you into the text. I also like how we were drawn back to the fact that we are humans, not elephants! Author Bio: I am a returning student pursuing a bachelor’s degree in Liberal Studies with the hope of becoming an elementary school teacher. 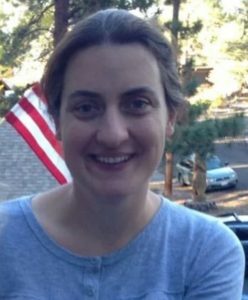 I live in West Point, California with my husband and four children and I enjoy gardening, reading, hiking and coaching soccer.